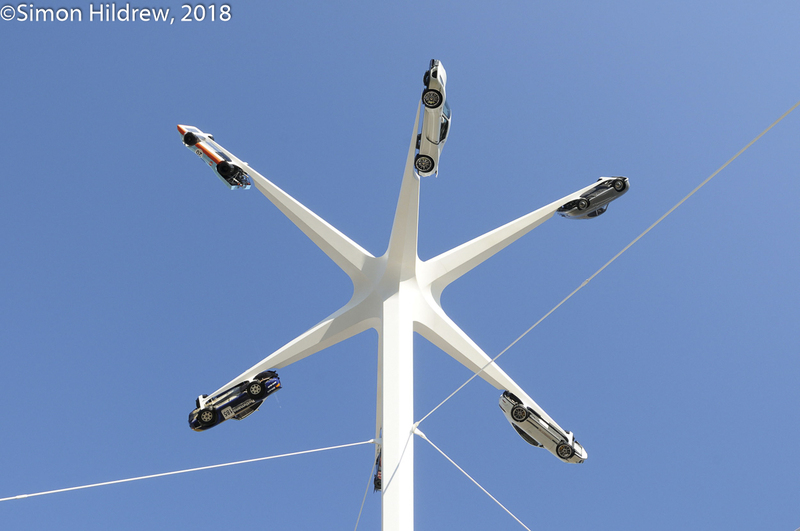 The sharp ones amongst you (that’s everyone who visits this site) who read the Festival of Speed piece will have noticed a great gap in the words and pictures. 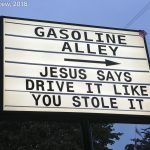 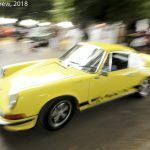 No Porsche………. 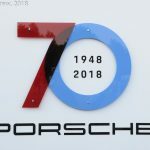 1948 not only saw the arrival of Lotus and Land Rover, but also the powerhouse now know as Porsche AG came into existence. 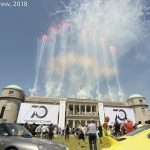 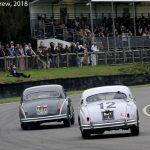 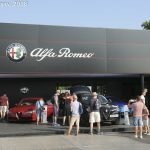 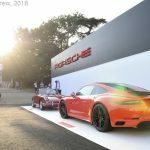 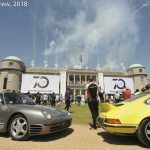 To celebrate 70 years of “Excellence was Expected” Porsche pushed out the boat or more appropriately The Carrera at the Goodwood Festival of Speed and what a party there was! 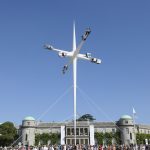 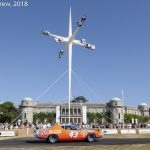 As one might expect the centrepiece was the sculpture or should that be installation in front of Goodwood House, the work of Gerry Judah. 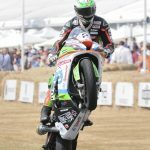 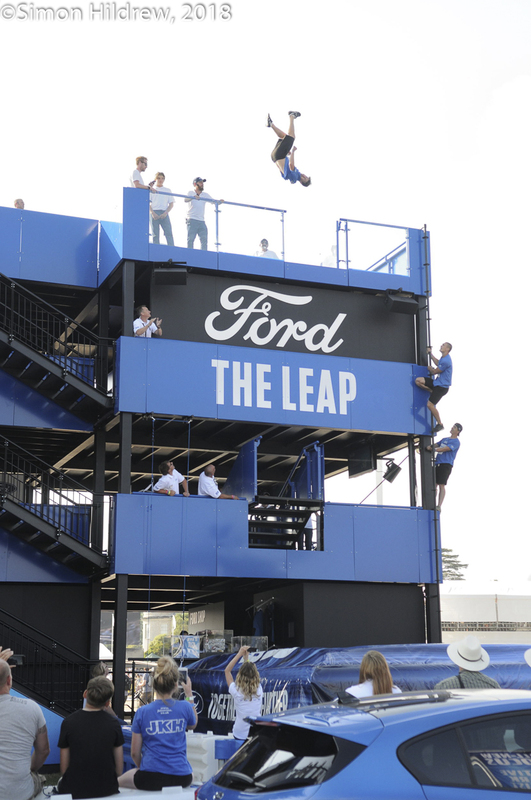 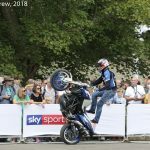 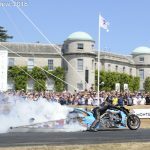 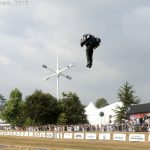 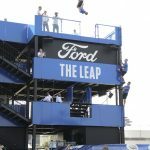 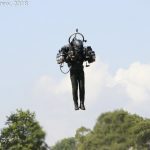 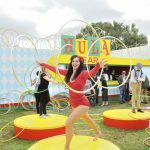 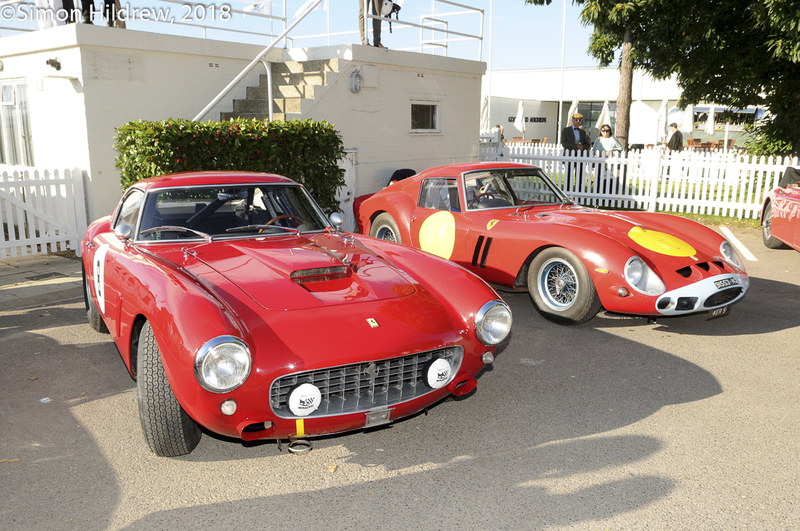 It is one of the signature displays at each Festival of Speed and this year’s effort did not disappoint. 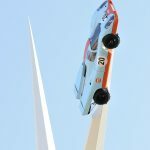 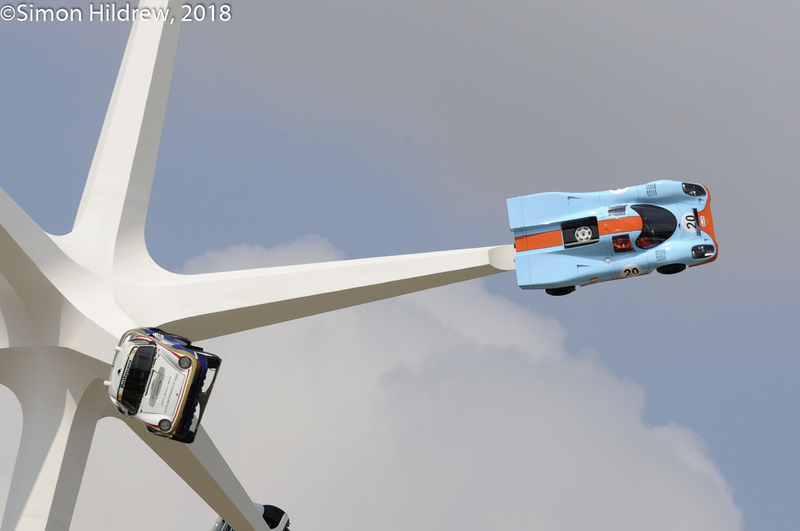 The 917 reminded me of a famous shot from the 1970 Le Mans 24, with Mike Hailwood’s Gulf 917 being hoisted by a crane from the track after ‘Mike the Bike’ lost control in the wet and crashed out of the race and the JW Automotive team………..no way to treat a 917. 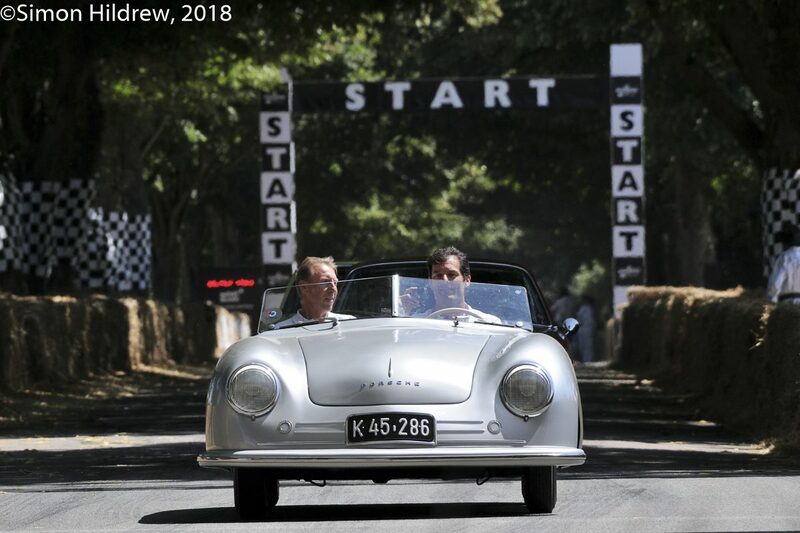 Down to earth is how you would describe the 356 ‘No.1’ Roadster, that started the journey that we saluted some 70 years on. 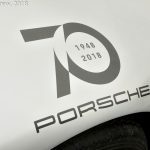 Porsche shows great respect for its heritage, not all automobile manufacturers are so clever. 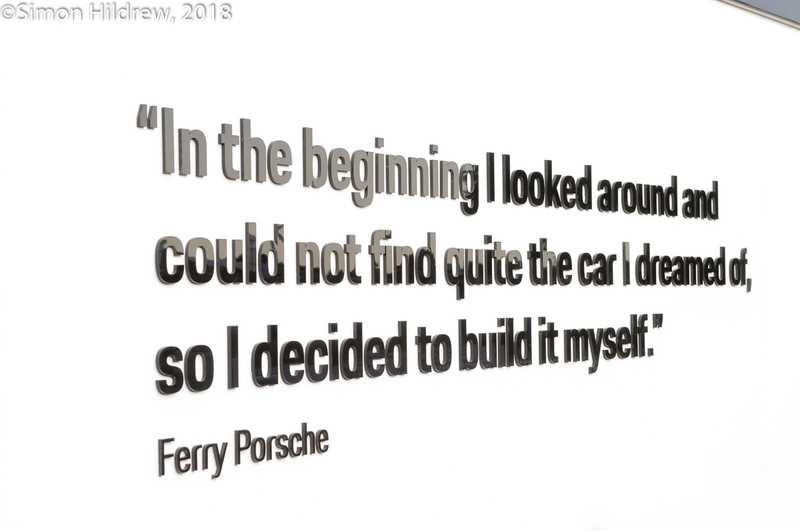 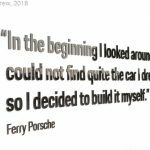 I am not convinced that the term Mission Statement was popular back in 1948 but here we have the original thoughts from Ferry Porsche, pretty much sums up the company ever since. 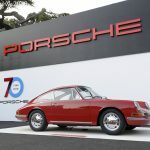 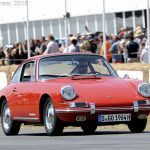 Another giant step for Porsche was the introduction of the 911 and the oldest example that Porsche owns, 57th off the production line in 1964, was also on the Hill. 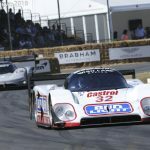 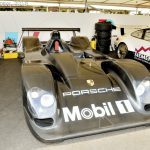 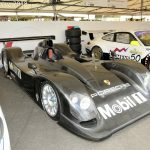 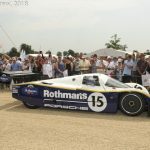 One Porsche that never saw the light of day was the LMP 2000 that was destined to succeed the 911 GT1 98 as Porsche’s challenger for further honours at Le Mans. 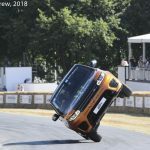 It ran but a few tests before the whole project was cancelled by the Board in favour of spending the budget developing the Cayenne. 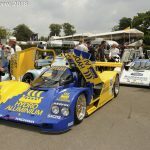 This was the first that LMP 2000 had ever appeared in public. 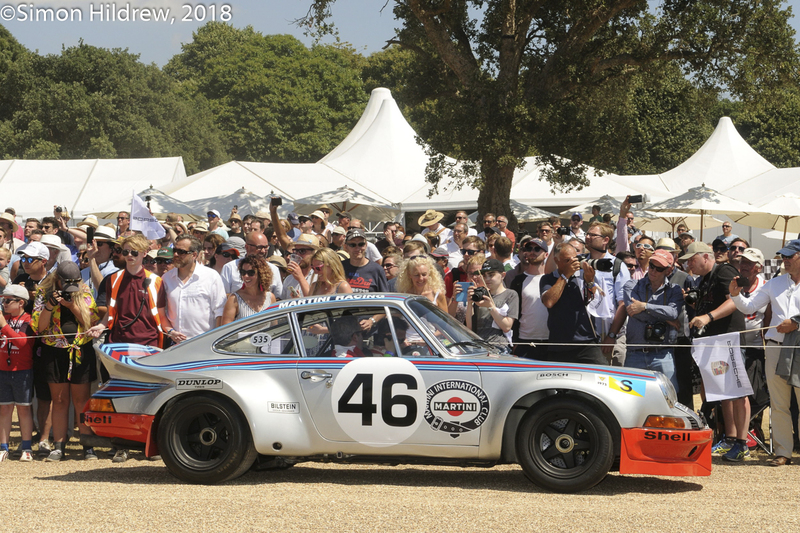 There were many familiar faces in the phalanx of Porsches on display. 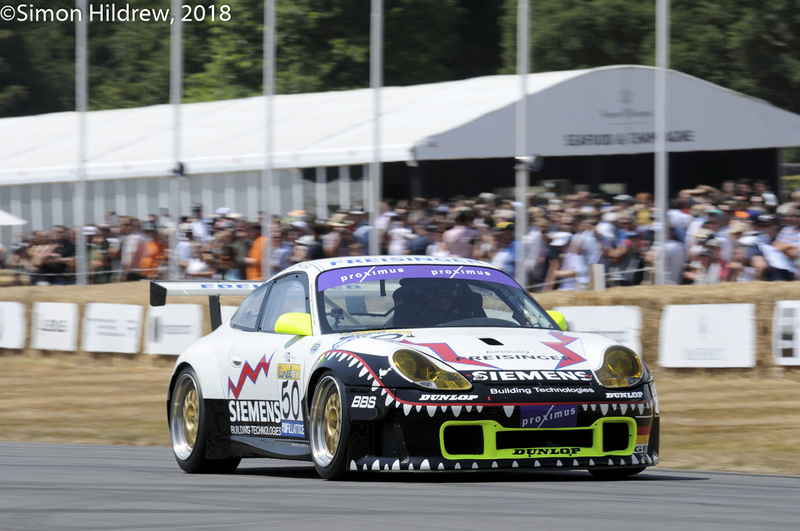 The 2003 911 GT3 RS that had beaten the top class cars to score an outright win at the 2003 Spa 24 Hours (how very Retro-Porsche!) 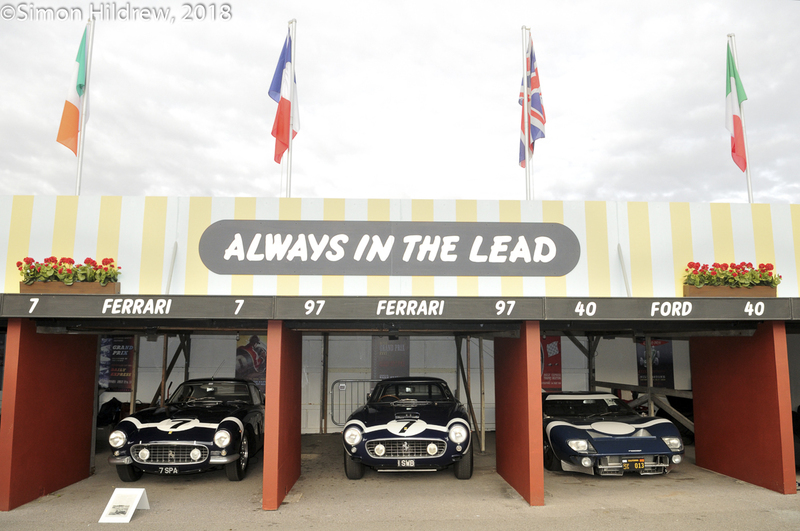 was a welcome sight. 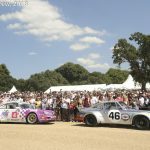 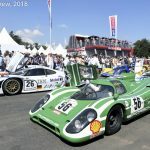 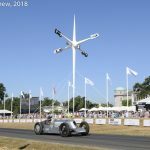 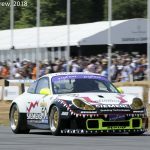 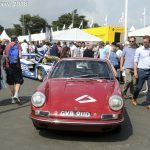 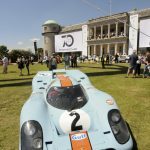 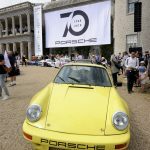 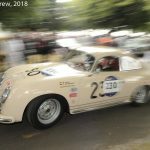 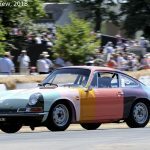 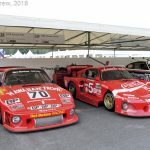 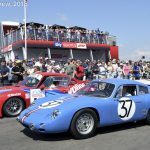 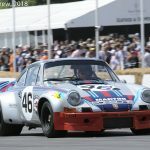 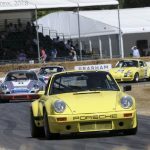 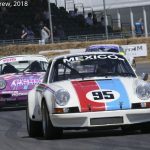 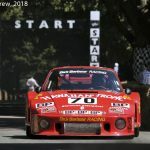 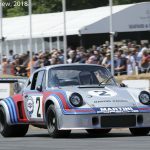 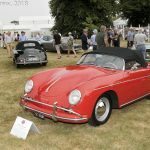 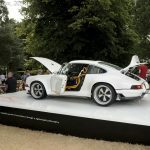 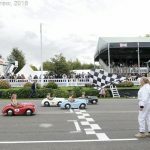 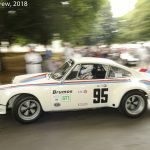 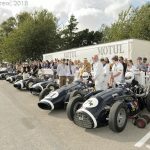 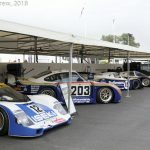 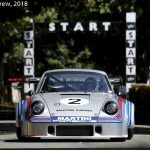 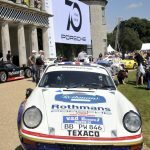 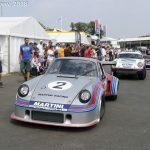 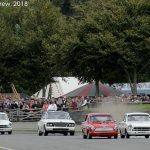 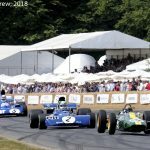 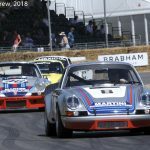 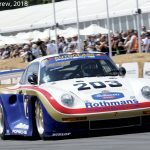 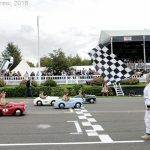 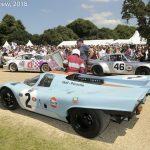 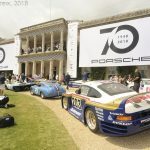 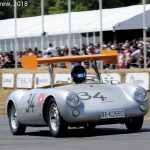 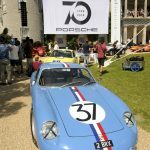 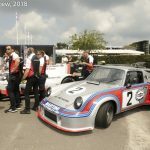 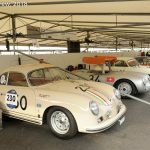 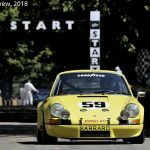 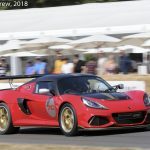 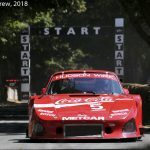 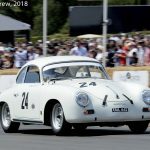 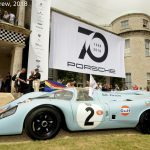 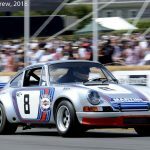 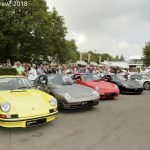 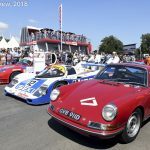 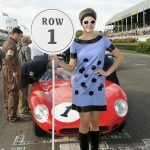 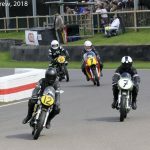 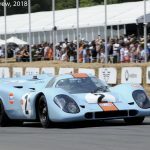 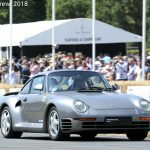 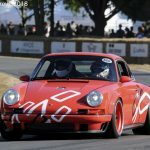 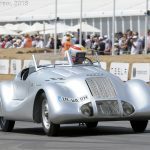 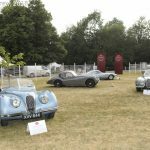 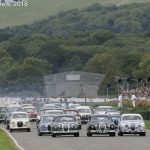 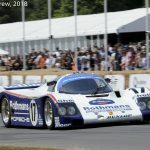 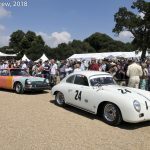 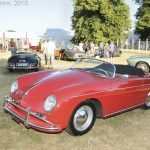 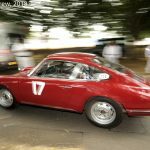 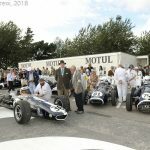 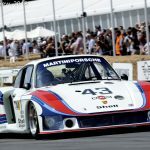 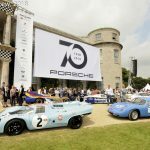 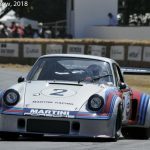 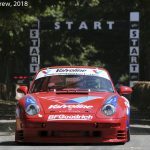 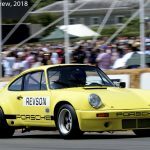 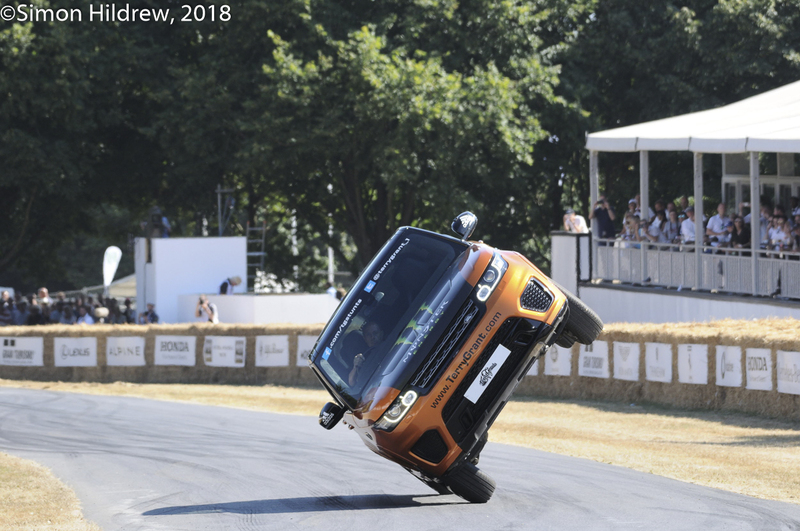 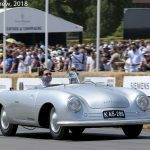 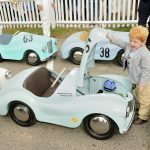 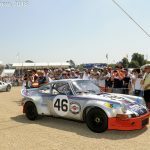 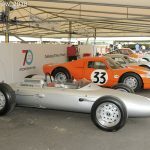 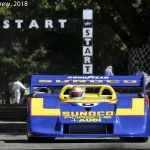 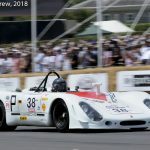 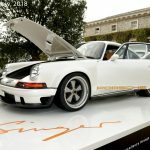 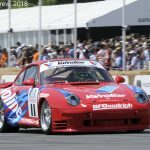 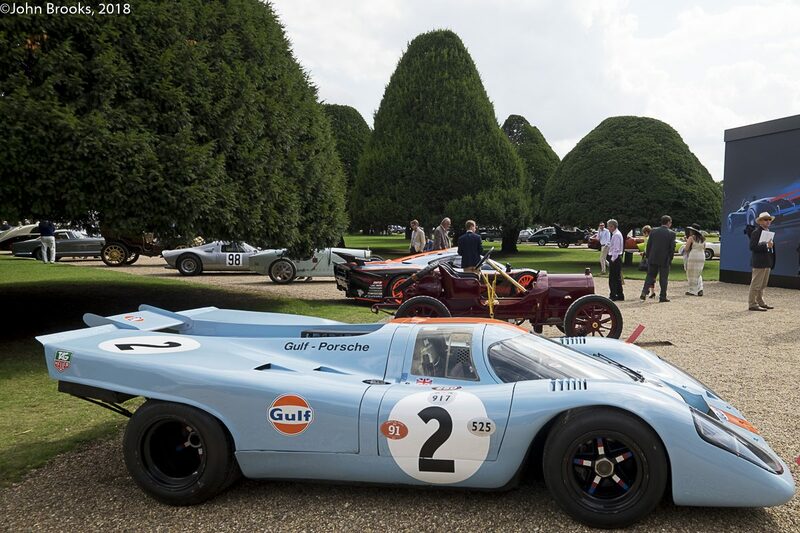 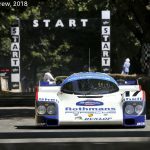 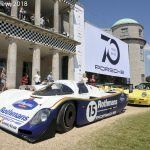 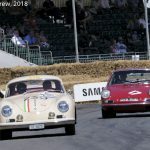 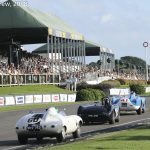 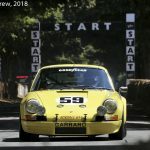 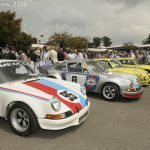 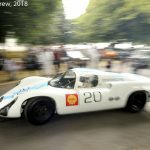 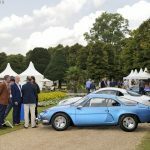 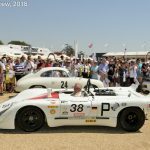 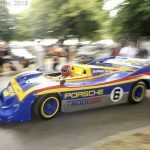 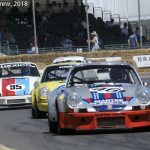 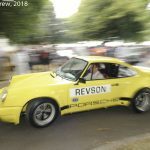 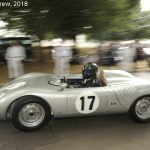 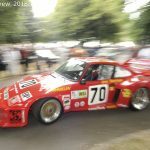 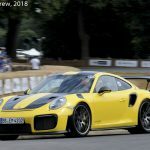 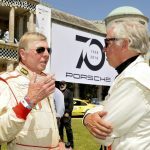 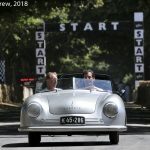 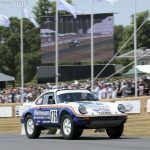 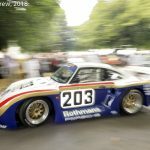 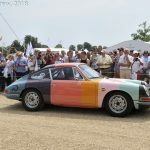 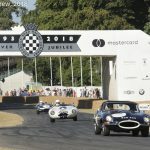 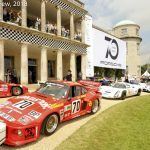 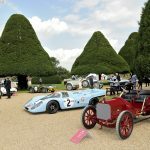 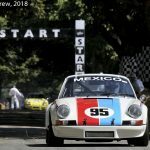 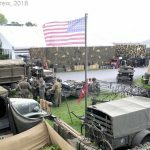 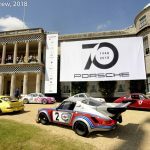 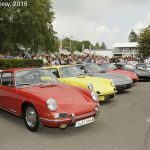 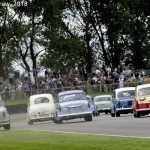 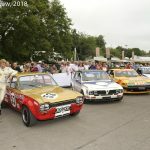 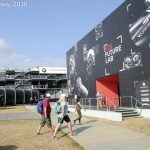 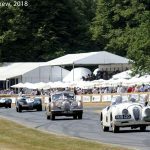 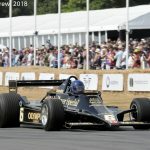 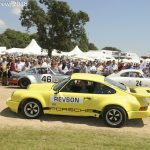 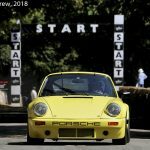 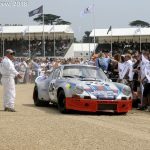 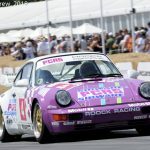 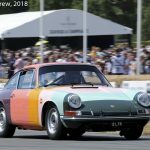 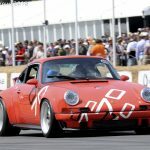 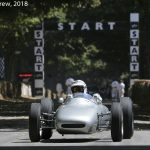 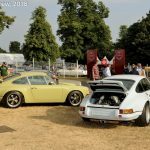 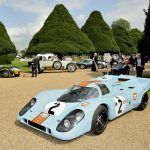 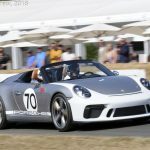 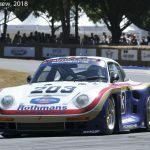 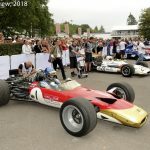 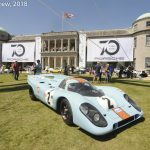 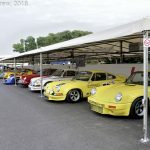 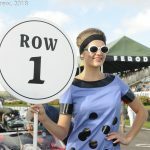 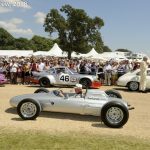 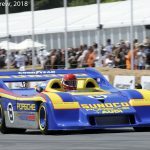 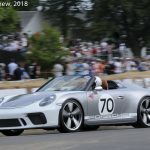 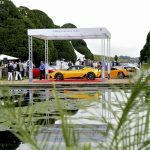 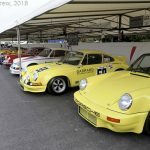 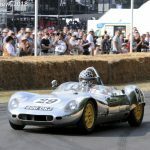 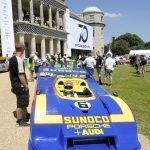 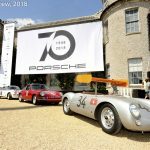 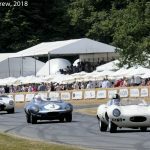 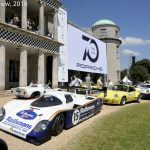 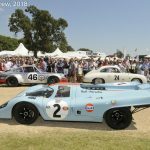 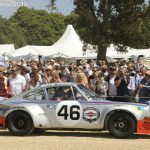 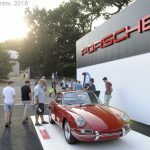 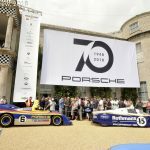 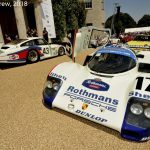 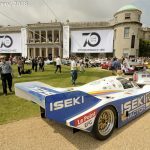 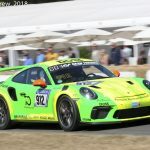 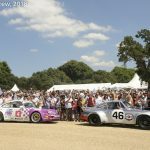 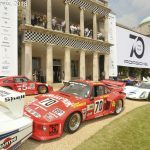 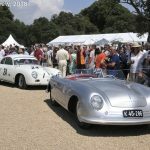 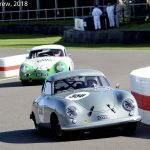 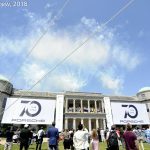 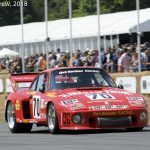 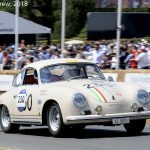 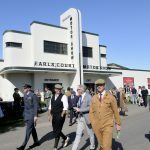 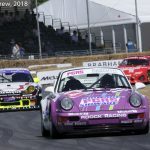 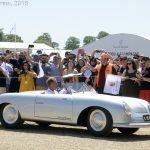 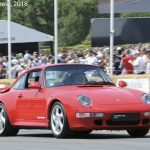 By any standards the Porsche at 70 event within an event at this year’s Goodwood Festival of Speed was rip-roaring success, here’s to another 70 years. 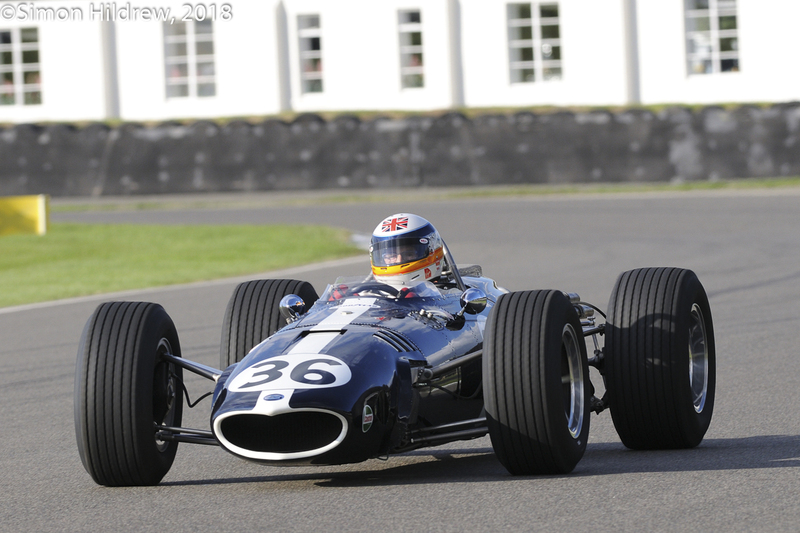 In the meantime enjoy the sensations captured by Simon Hildrew. 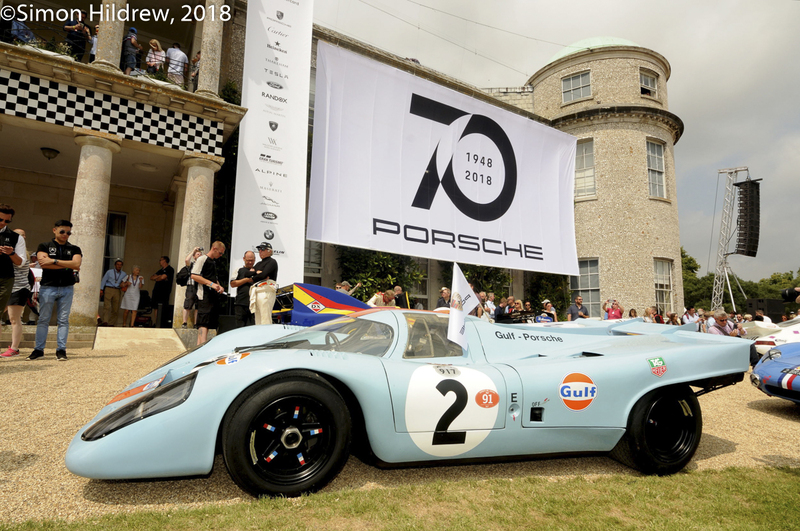 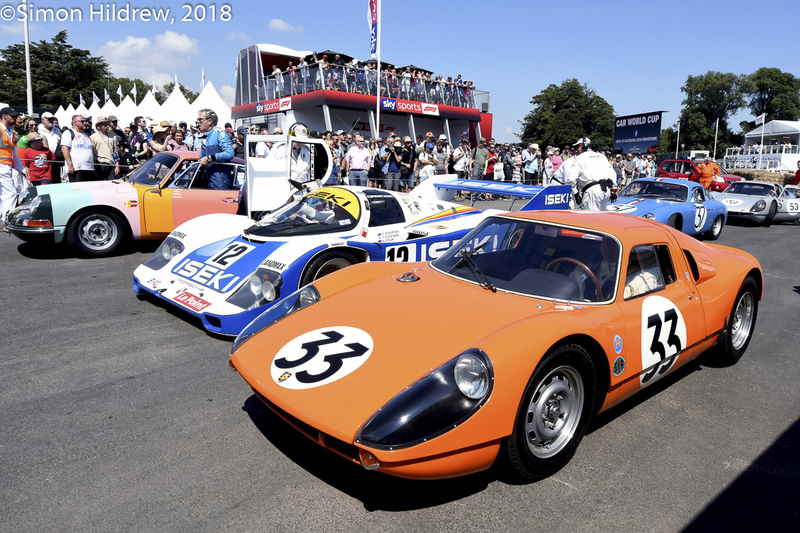 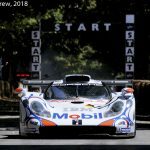 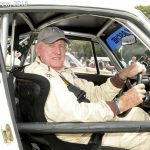 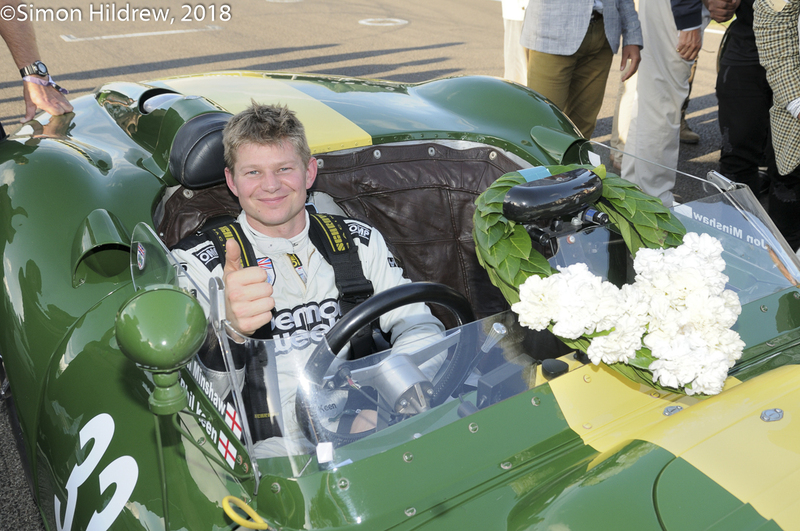 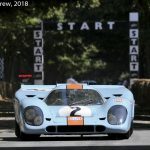 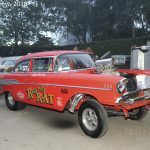 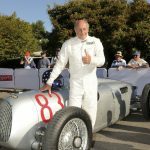 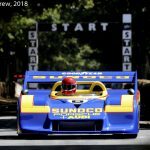 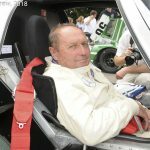 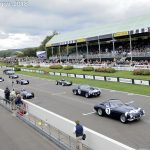 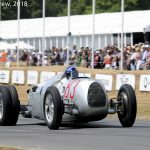 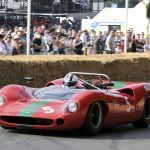 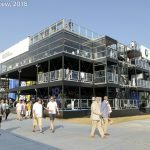 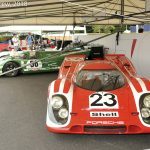 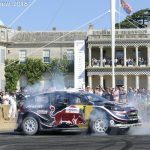 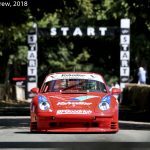 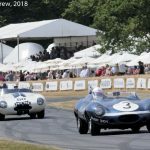 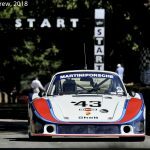 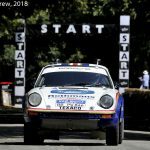 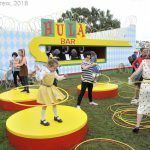 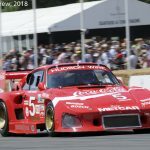 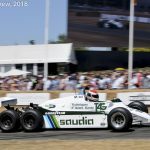 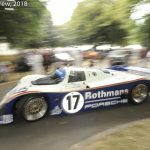 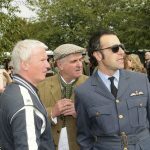 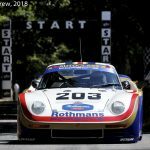 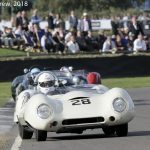 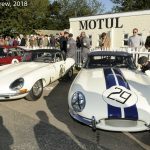 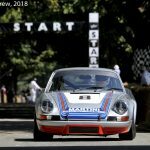 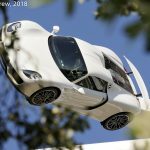 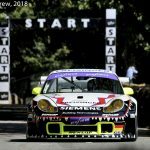 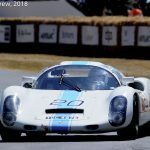 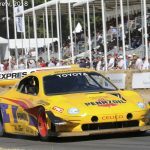 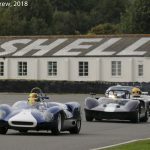 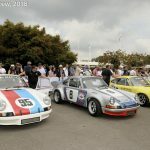 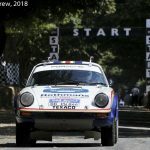 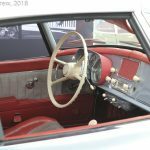 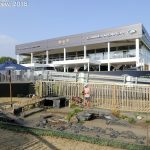 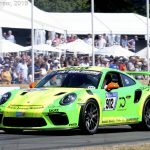 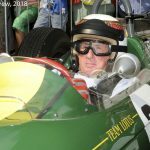 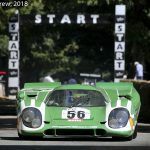 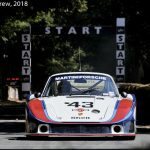 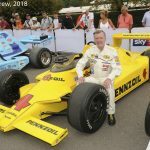 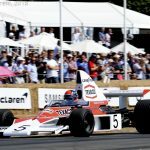 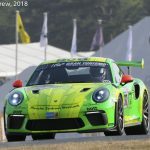 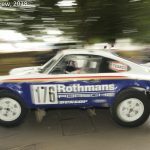 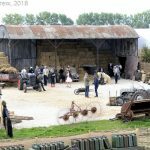 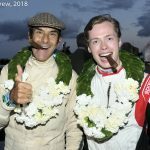 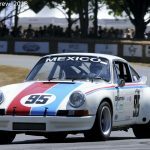 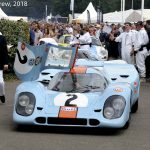 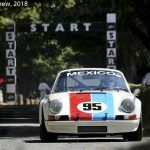 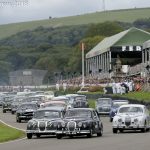 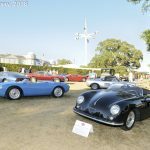 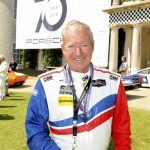 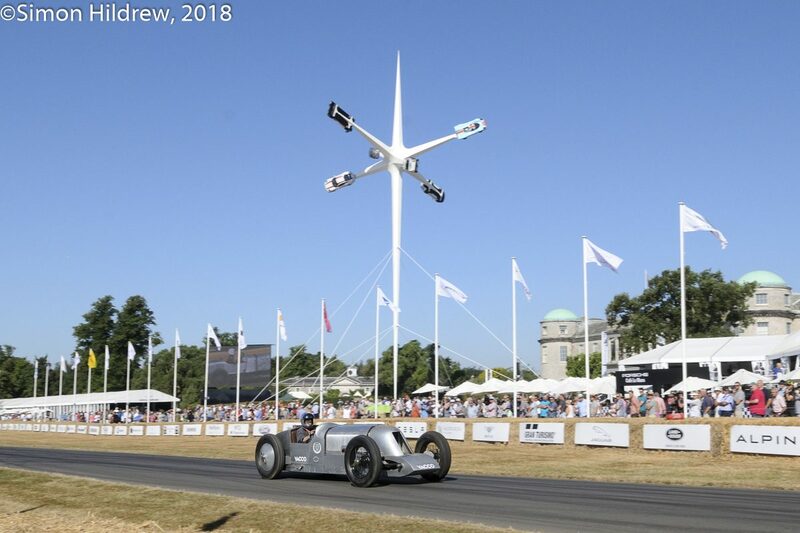 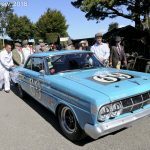 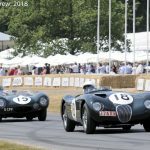 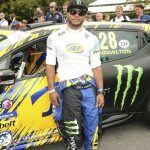 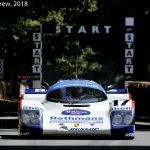 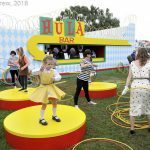 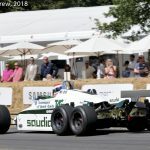 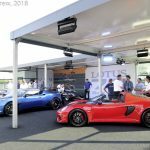 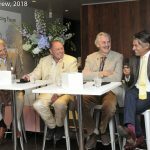 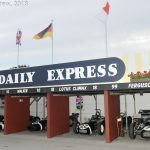 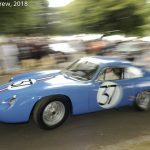 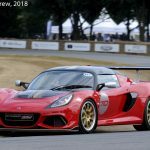 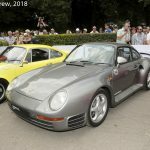 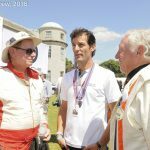 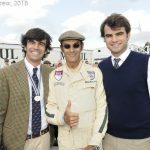 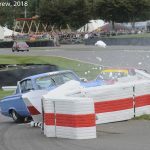 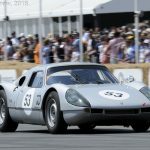 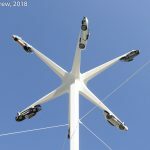 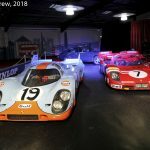 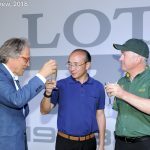 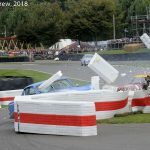 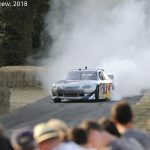 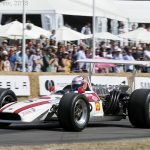 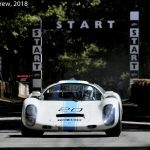 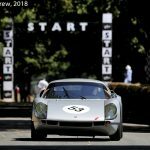 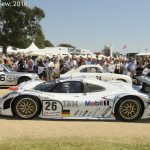 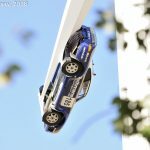 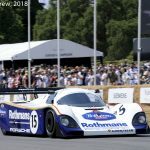 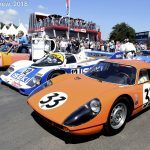 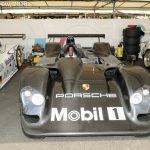 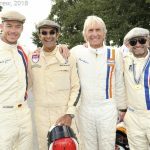 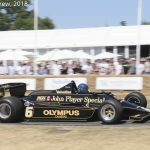 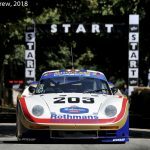 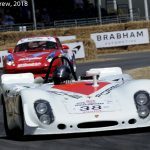 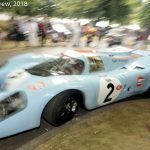 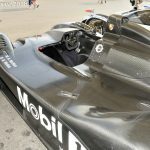 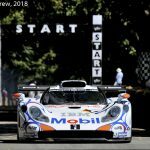 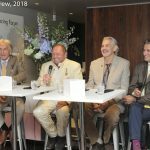 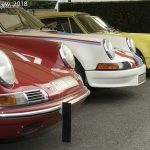 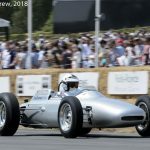 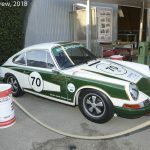 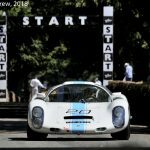 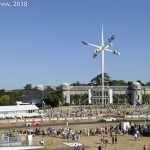 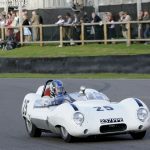 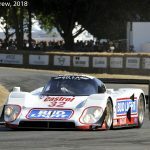 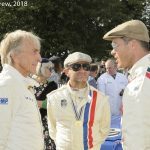 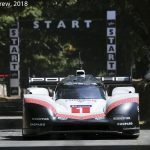 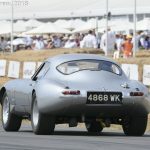 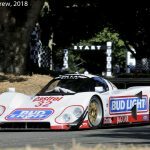 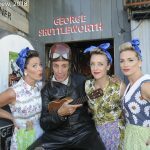 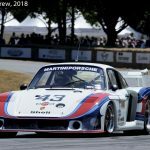 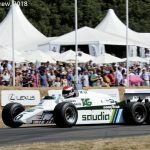 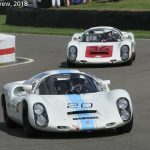 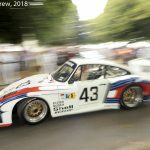 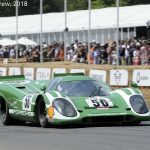 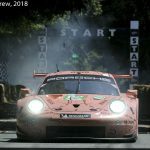 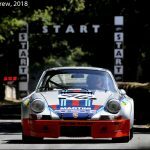 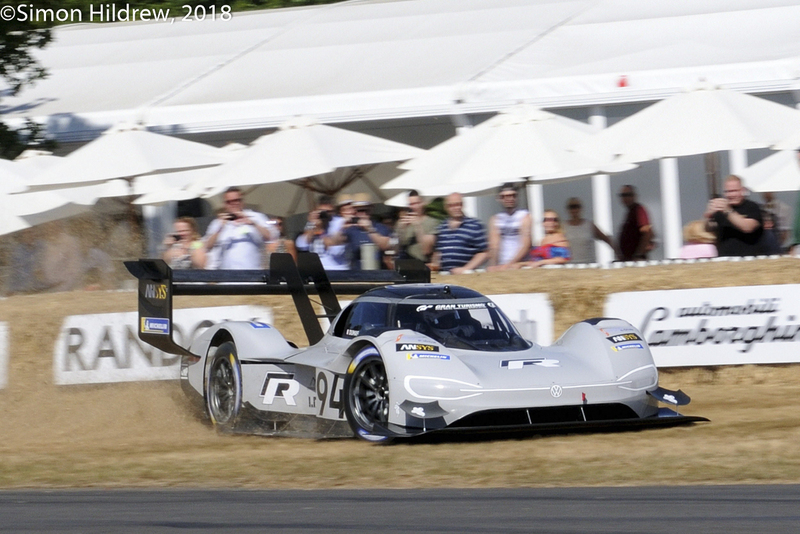 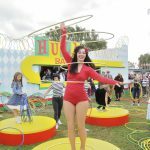 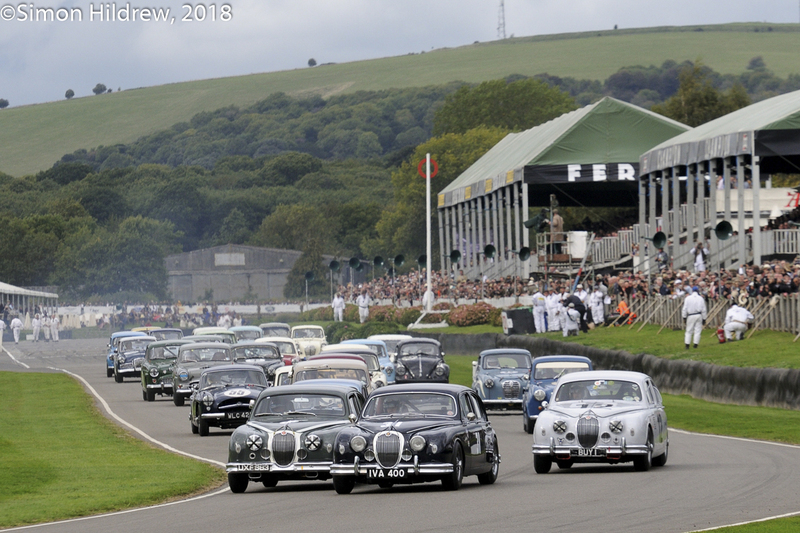 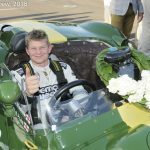 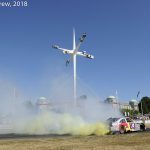 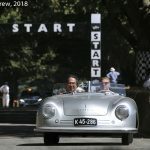 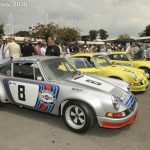 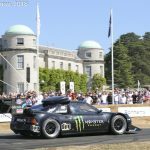 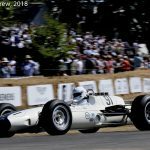 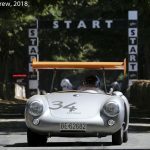 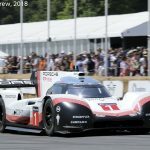 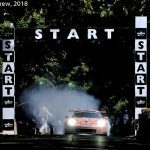 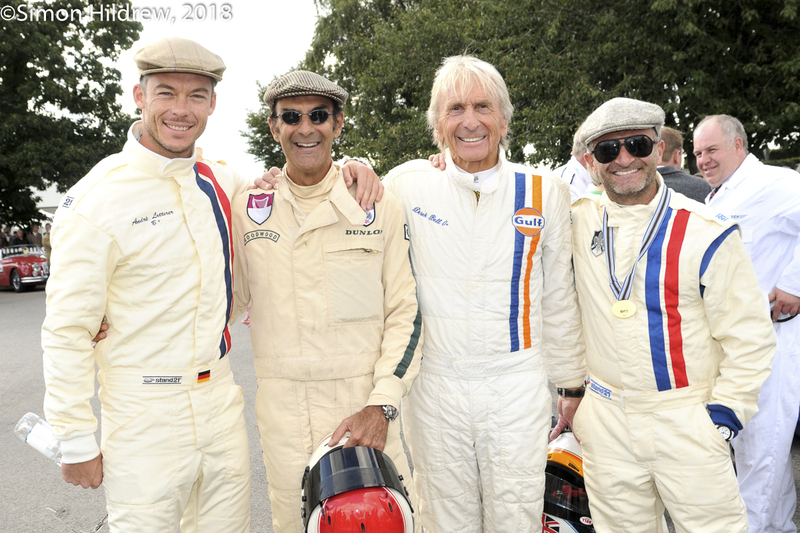 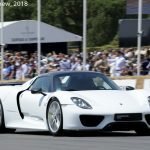 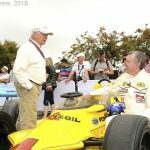 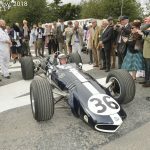 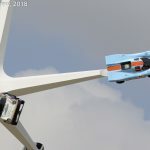 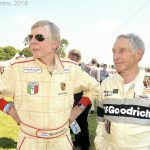 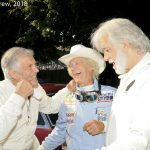 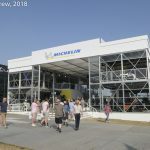 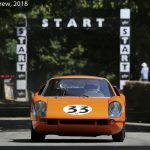 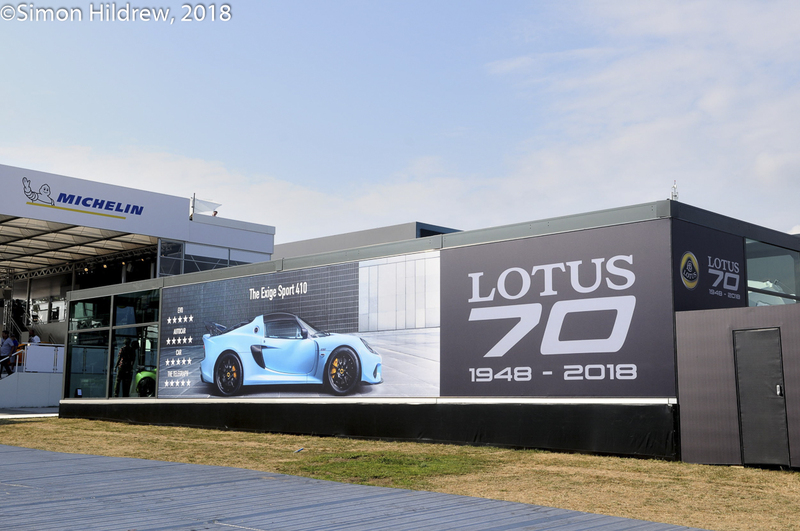 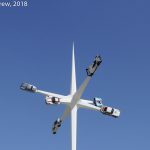 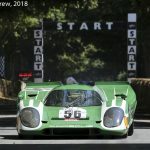 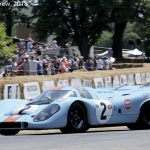 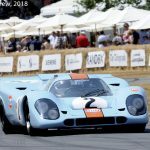 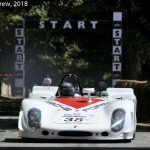 This entry was posted in Notes from the Cellar, The Focal Point and tagged Goodwood Festival of Speed, Porsche, Simon Hildrew on September 28, 2018 by John Brooks. 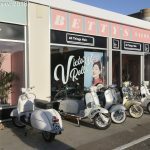 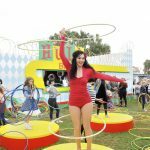 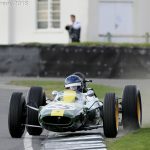 Simon Hildrew’s photography has graced these pages for a little over six years. 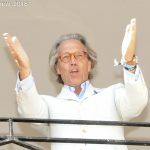 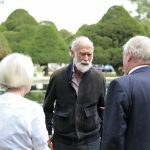 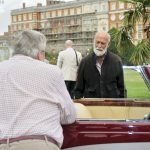 He attended the Concours of Elegance last weekend at Hampton Court Palace. 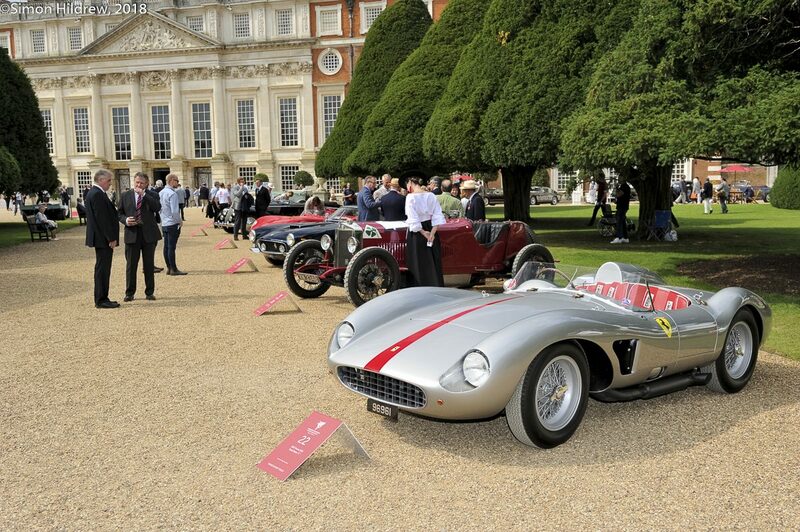 As usual he has produced the real deal, another top class selection to illustrate a fantastic event. 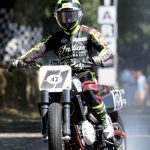 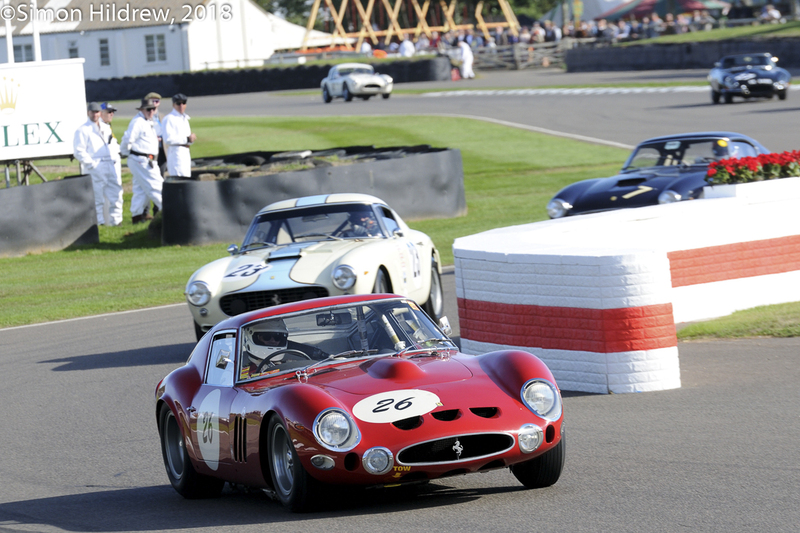 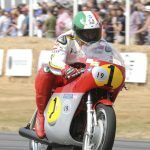 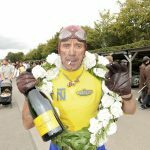 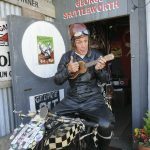 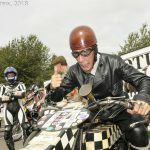 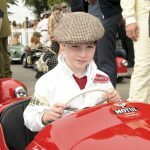 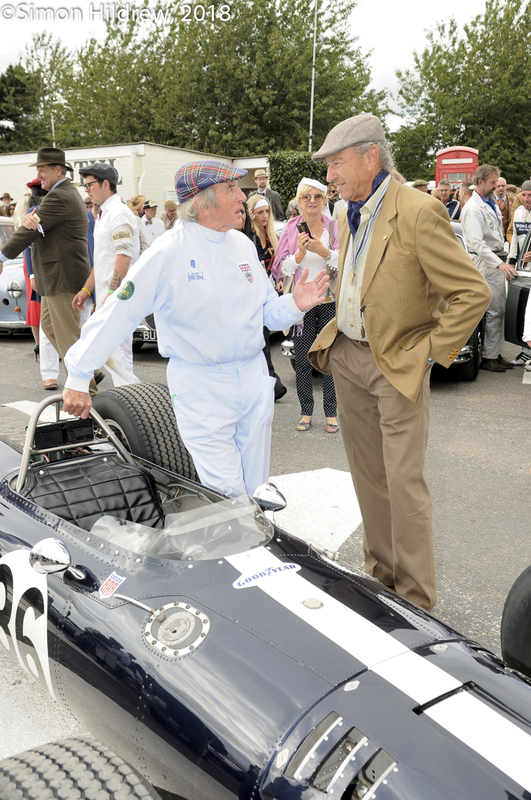 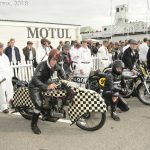 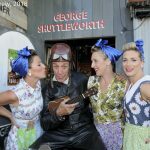 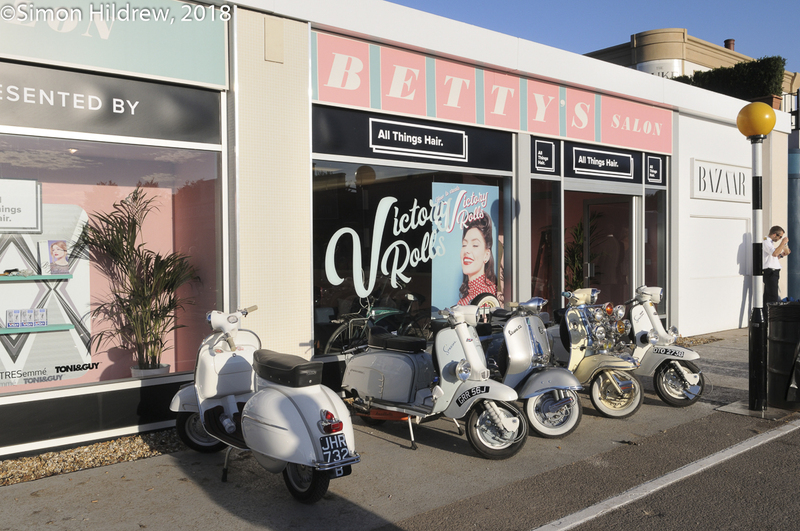 Goodwood Revival is up next for him, can’t wait. 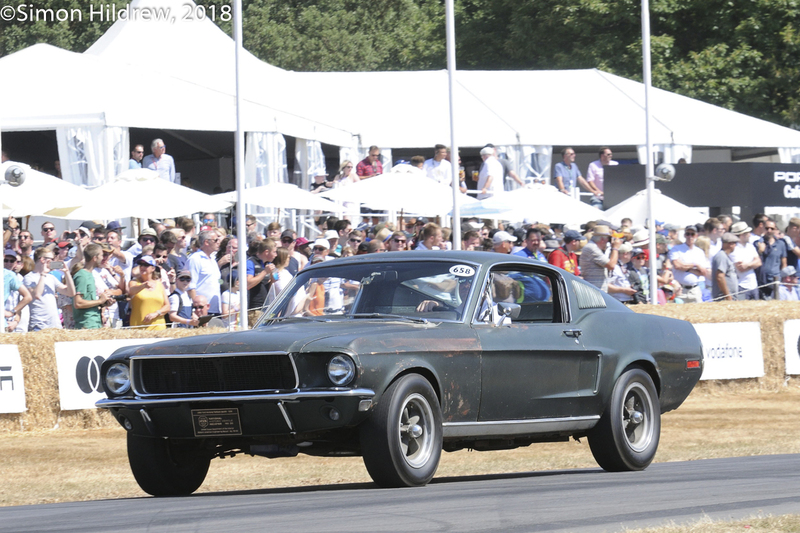 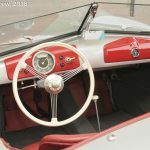 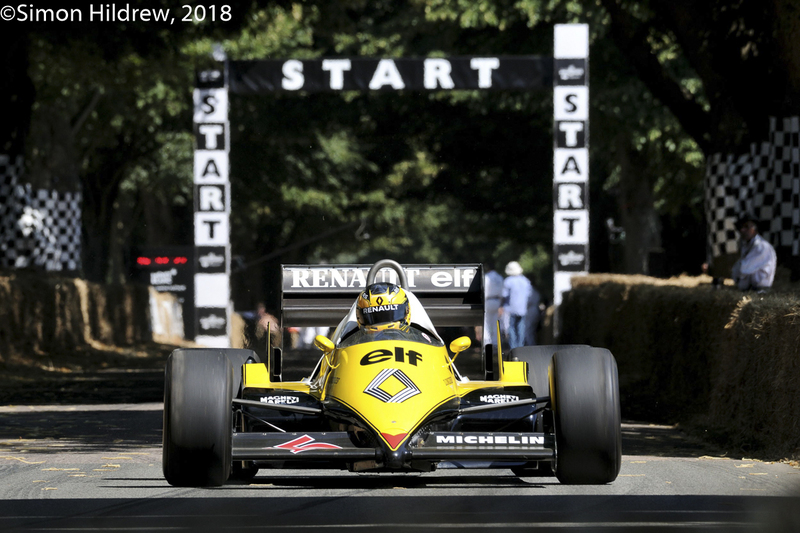 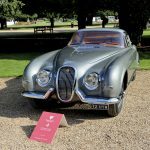 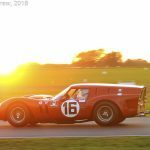 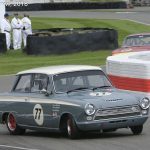 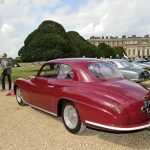 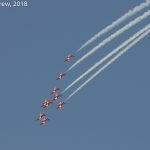 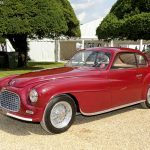 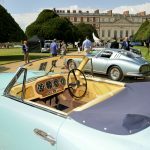 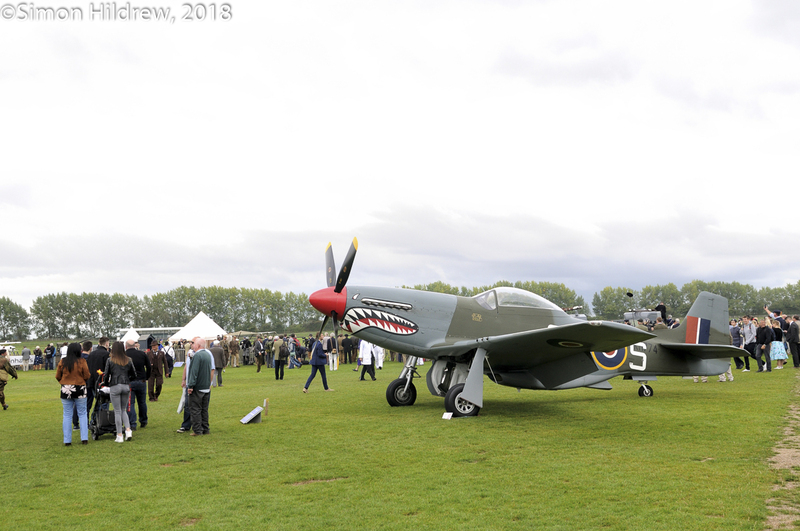 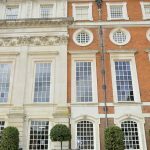 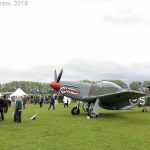 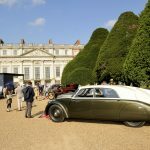 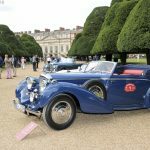 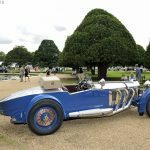 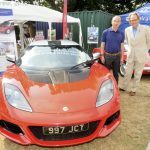 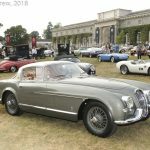 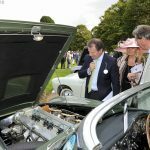 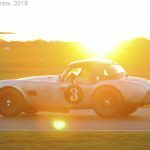 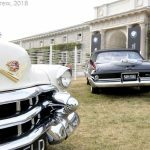 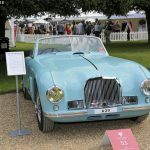 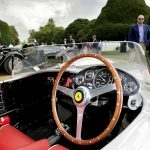 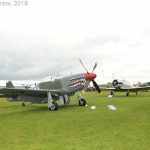 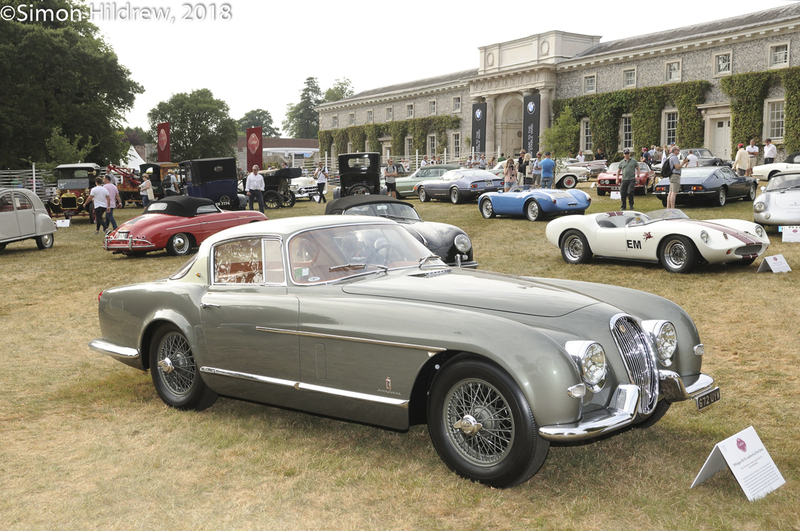 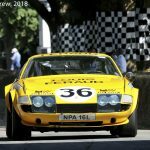 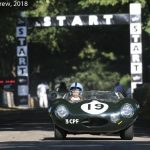 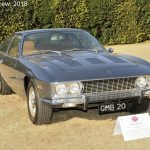 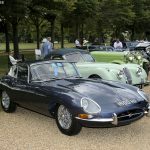 This entry was posted in The Focal Point and tagged Concours of Elegance, Hampton Court Palace, Simon Hildrew on September 4, 2018 by John Brooks. 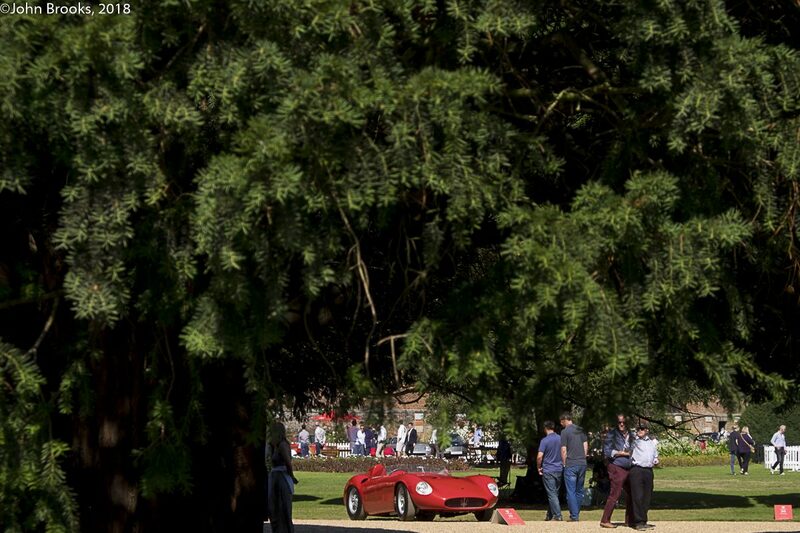 Here in England it is the ‘Season of Mists and Mellow Fruitfulness’ as Keats put it so eloquently. 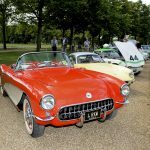 It is also the time of the final car events of the year before the weather turns dodgy and we stop impersonating the Iberian Peninsula. 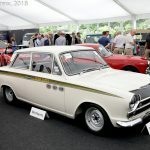 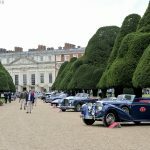 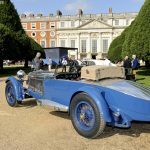 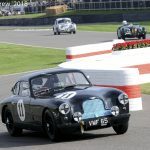 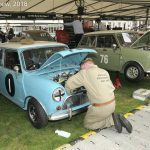 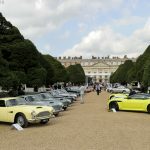 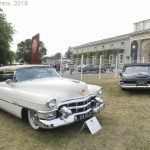 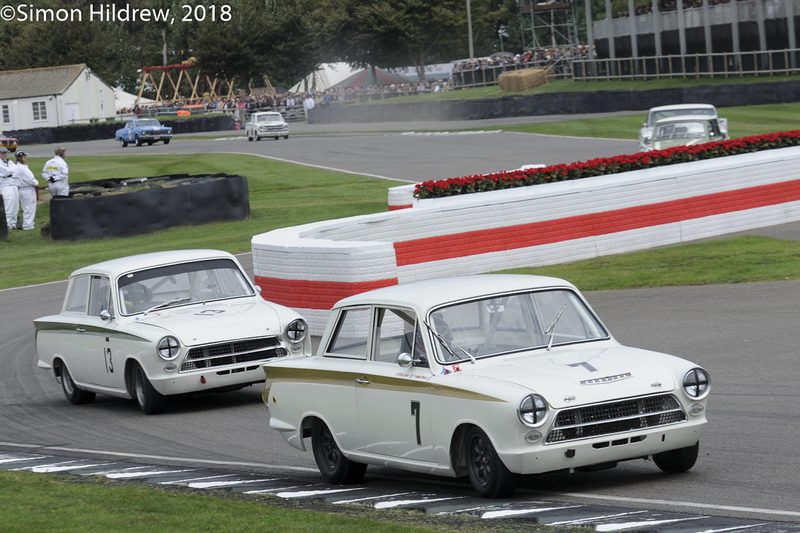 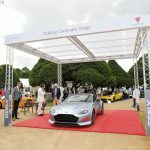 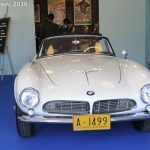 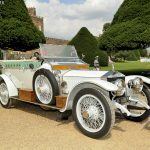 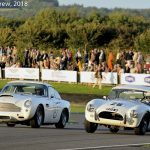 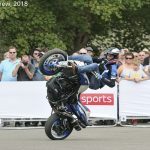 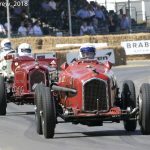 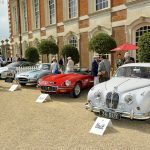 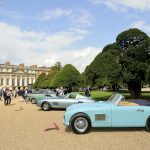 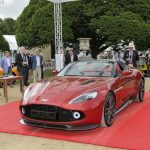 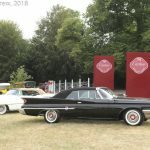 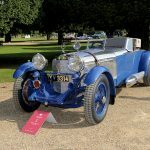 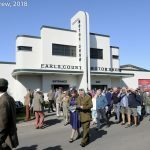 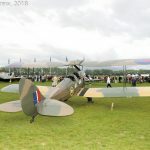 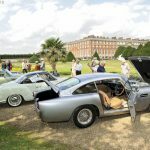 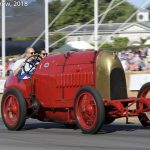 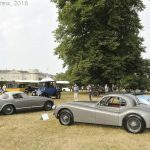 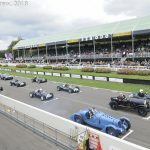 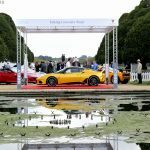 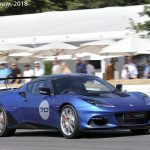 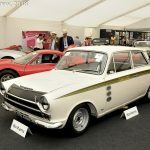 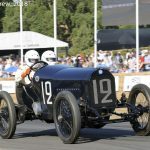 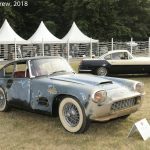 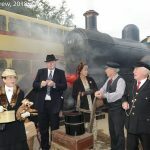 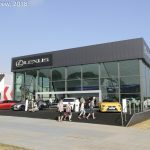 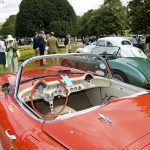 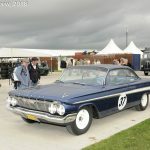 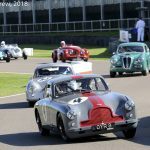 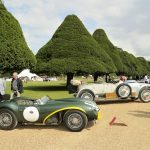 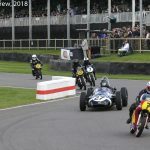 It is a case of saving the best till last with the staging of the Concours of Elegance at the regal Hampton Court Palace, a hop, skip and a jump from DDC Towers, saving the travel sick (or should that be sick of travel?) 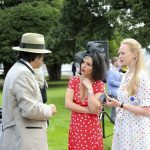 editor from too much exertion. 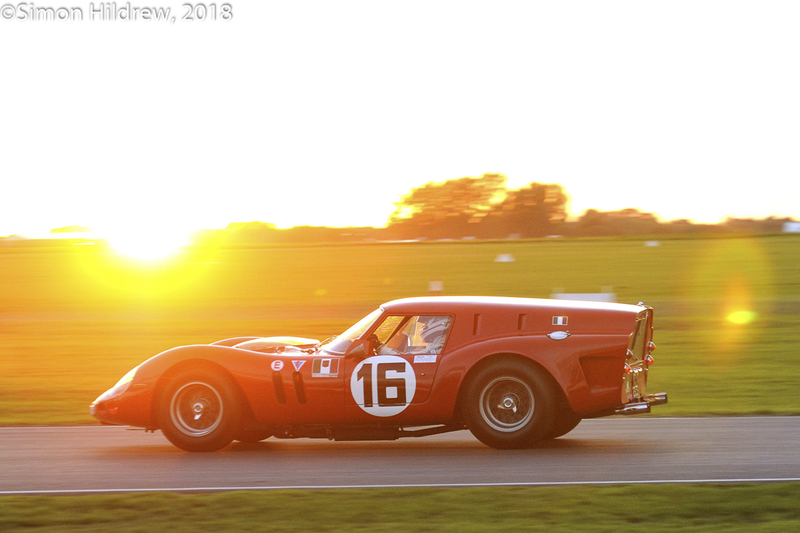 It is one of the highlights of my motoring year. 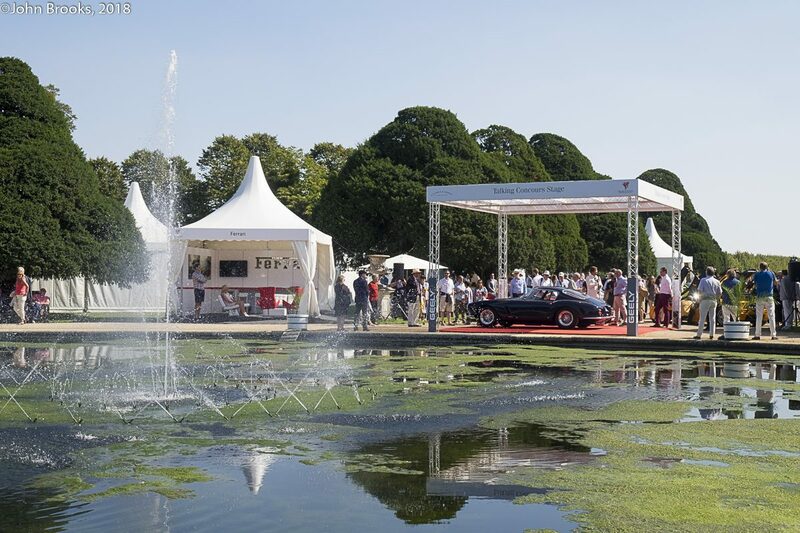 The Concours of Elegance has something for everyone whatever your automotive peccadillo happens to be this week. 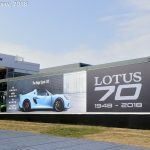 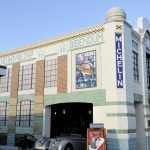 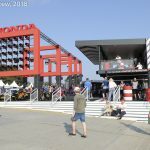 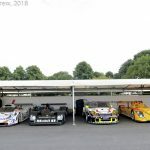 The Le Mans 24 Hours has taken a fair bit of my time and energy over the past 40 years, since rocking up at La Sarthe for the first time back in 1978. 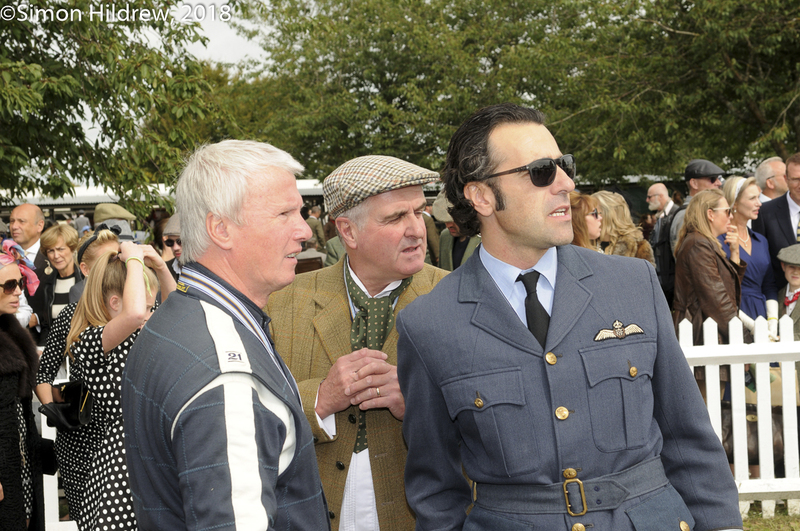 There were a number of familiar faces in the crowd, perhaps a closer look at them is warranted. 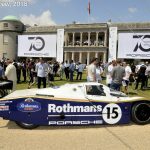 Entering in to the formal garden at the rear of the Palace (and what a venue that is) I encountered a Porsche 962 that looked, well frankly, wrong. 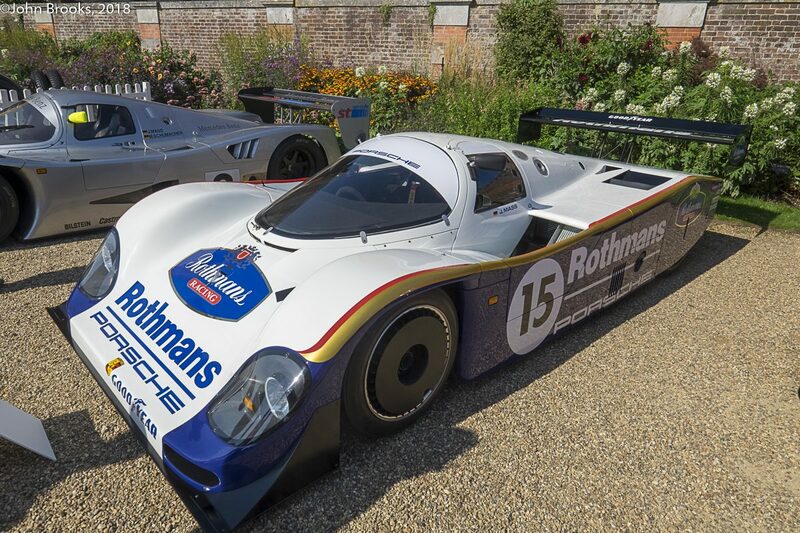 The outline was that of the distinctive Richard Lloyd Racing 962C but with the famous factory colour scheme promoting Rothmans. 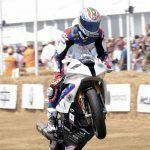 Well I figured that Duncan Hamilton/ROFGO would know their onions better than yours truly and so it proved. 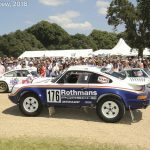 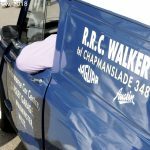 This car was indeed a RLR machine, and yes the Rothmans livery was authentic, having run in this combination in late November 1987 at the Kyalami 500km. 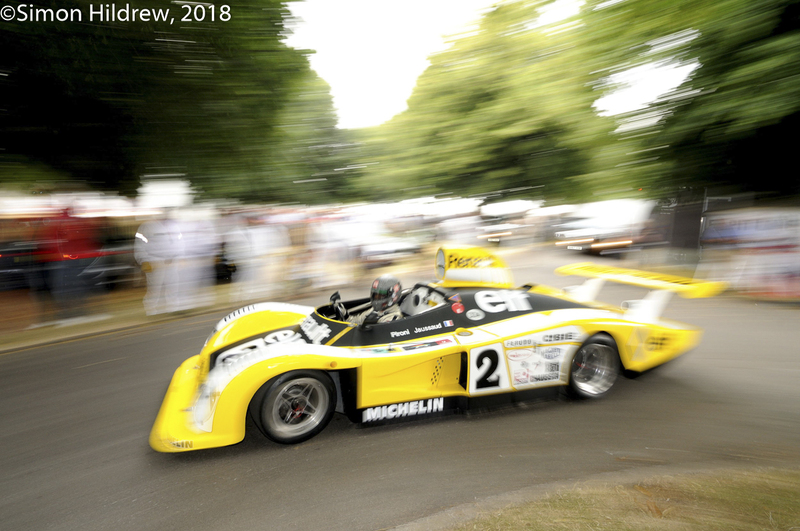 Jochen Mass, on loan from Weissach, grabbed a last lap victory when Bob Wollek ran out of petrol following an epic drive. 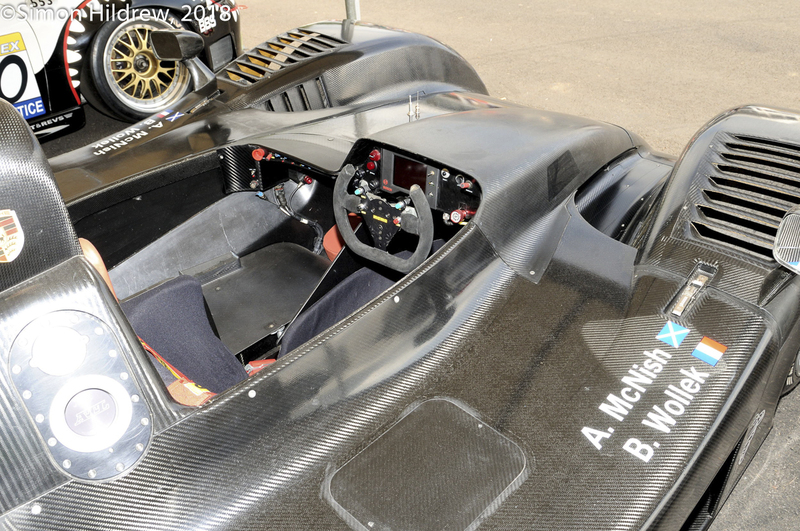 This car was the rebuilt #106B car that had been incinerated at Le Mans that year. 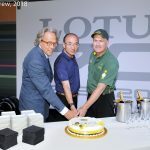 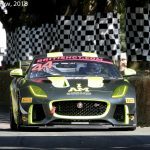 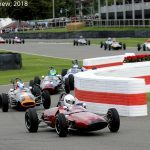 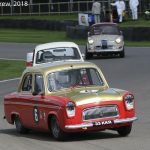 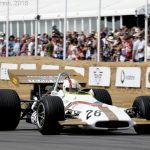 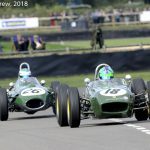 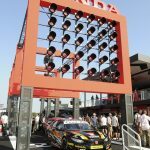 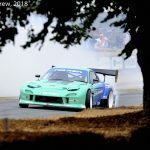 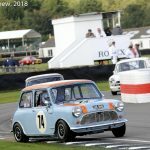 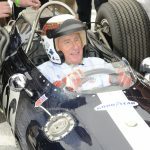 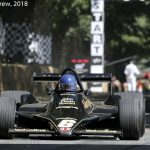 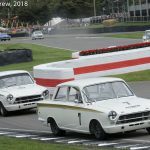 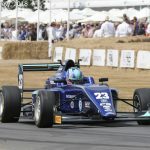 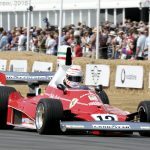 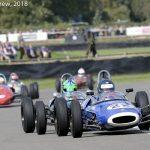 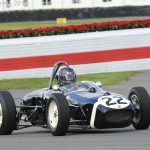 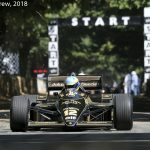 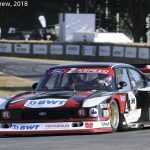 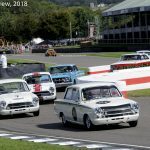 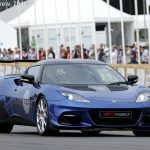 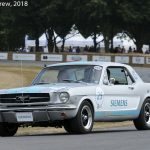 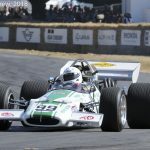 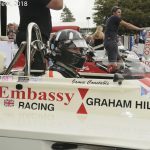 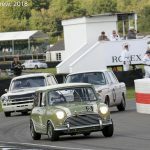 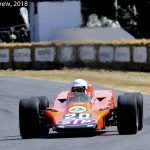 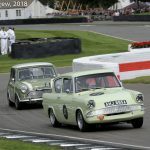 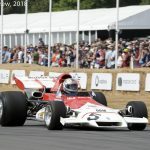 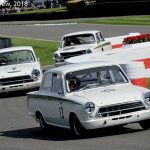 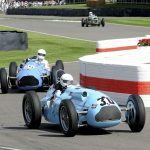 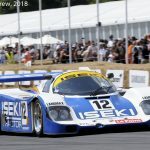 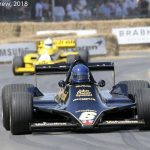 The improvements incorporated into the car clearly worked as in addition to the win in South Africa there were podiums at Brands Hatch and Fuji topped off by victory at Norisring. 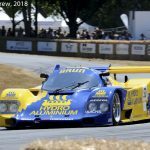 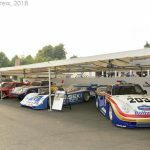 Next to the Porsche was another star performer from the Group C era, a Sauber C11, probably the ultimate Group C racer before Bernie and Max hijacked proceedings and sent the endurance side of the sport to its destruction along the V10 3.5-litre highway. 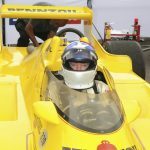 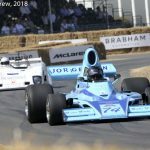 I understand the C11 to be #02 that took Jochen Mass and Michael Schumacher to victory in Mexico after their team-mates had been disqualified for a minor violation of the fuel regulations. 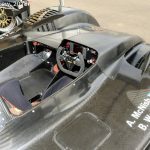 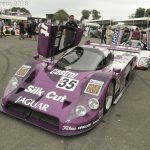 If this is the case then the car sat out Le Mans in 1991 and was kept on hand as a spare. 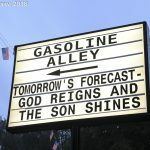 Too precious to leave out of this ramble though. 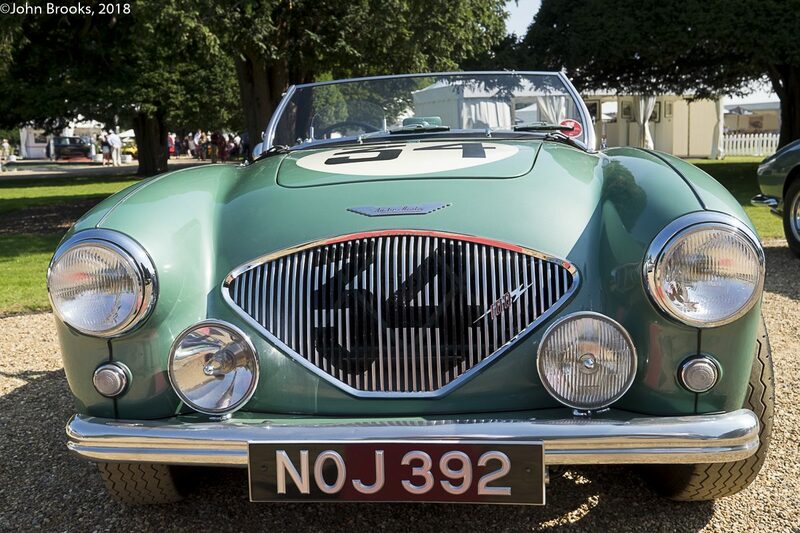 This Aston Martin DB3S definitely has Le Mans’ pedigree, bags of it. 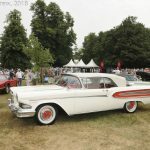 Based on a coupé that ran in the 1954 event suffering a huge accident at Maison Blanche that totalled the car. 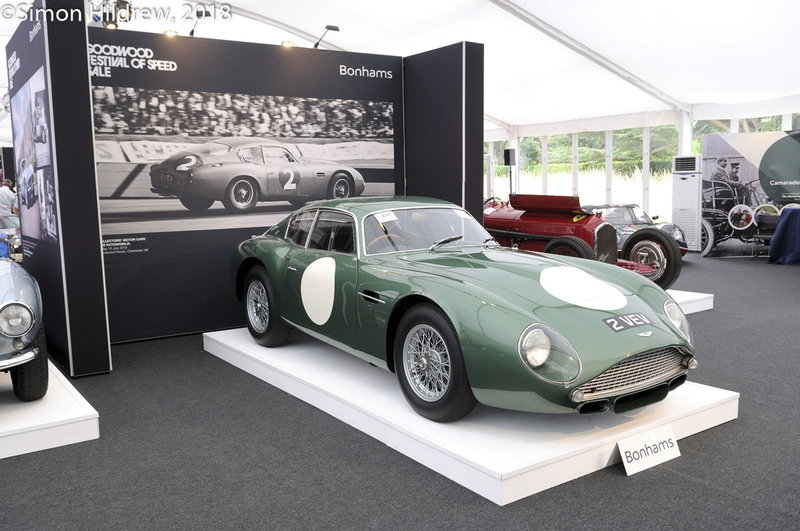 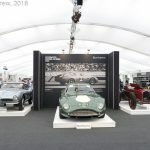 DB3S/6 was rebuilt and the following year went on to finish second at Le Mans with Peter Collins and Paul Frère behind the wheel. 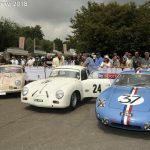 Retired from factory duties DB3S/6 enjoyed further success at La Sarthe with the new owners, Peter and Graham Whitehead, grabbing a fantastic second place overall in 1958, the stuff that dreams are made of for privateers. 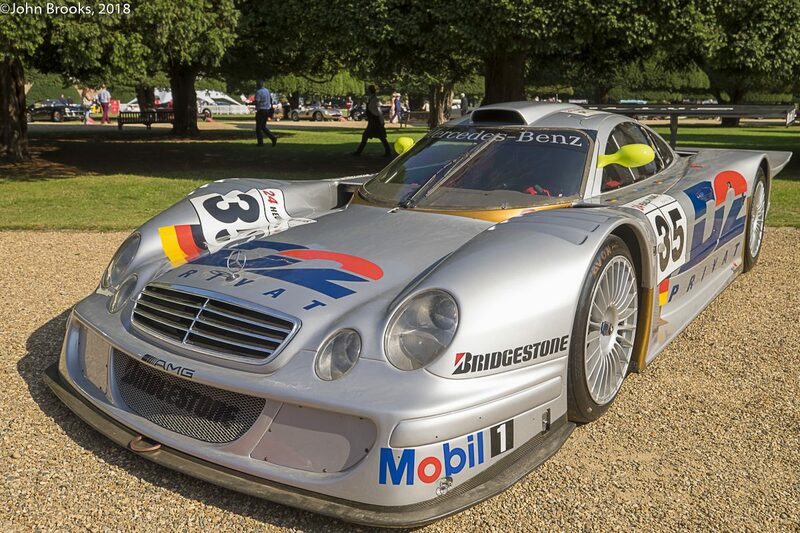 Nightmares might be closer to the fate at the great race of this still stunning AMG Mercedes CLK LM. 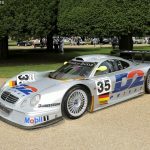 Introduced to the world at the 1998 Le Mans Pre-Qualifying weekend in May it was a development of the 1997 FIA GT Championship winning CLK GTR. 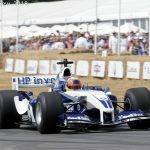 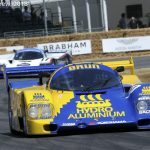 A V8 engine based on the M119 unit that powered the Sauber to victory in 1989 replaced the older V12. 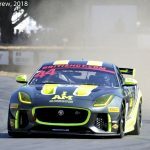 The loss of 80 kilos was the immediate benefit plus the repackaging allowed pushrod suspension at the front with inboard spring/damper units. 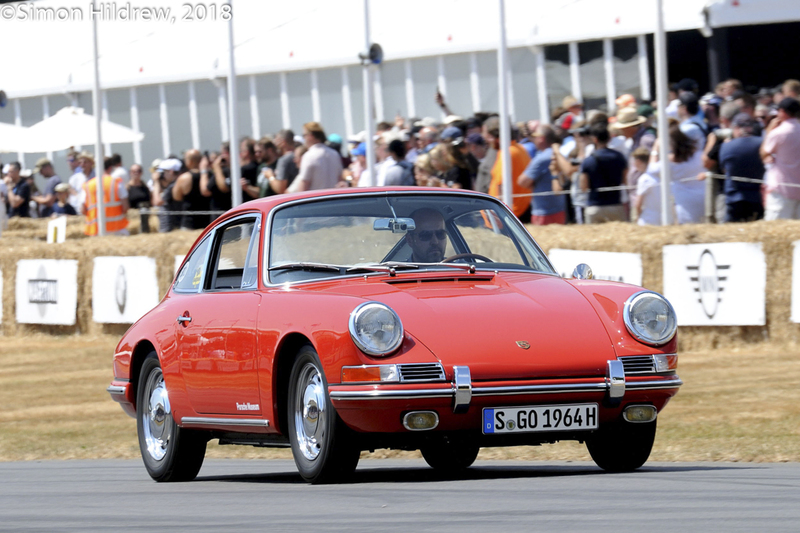 The lower centre of gravity of the V8 also led to a general improvement of the aerodynamics and overall performance. 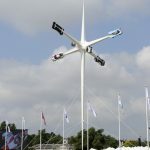 The car was quick, taking Bernd Schneider to pole position, even outpacing the Toyota GT-One, plus Christophe Bouchut’s sister car slotting into third place on the grid. 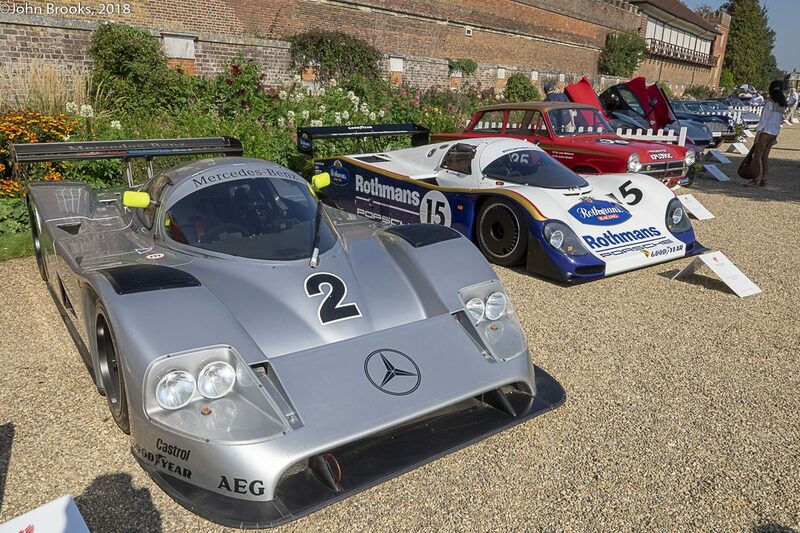 For the first hour there was a fierce battle for the lead with Toyota, BMW and Porsche taking on the Mercedes. 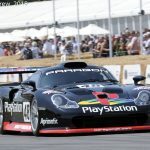 However with just 70 minutes on the clock Schneider’s CLK LM came to a halt at the Pit Lane Exit. 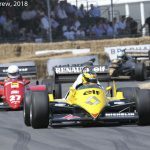 50 minutes later and Bouchut’s car also stopped. 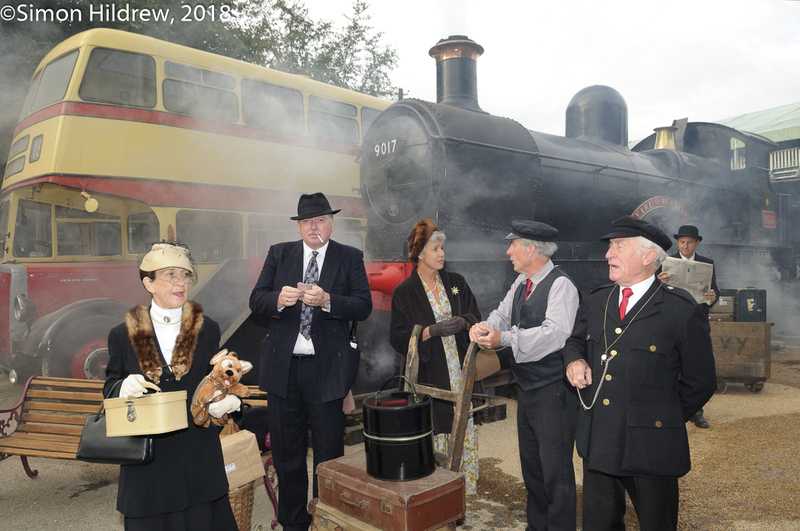 Both engines had gone bang and the favoured CLK LMs were out before sunset. 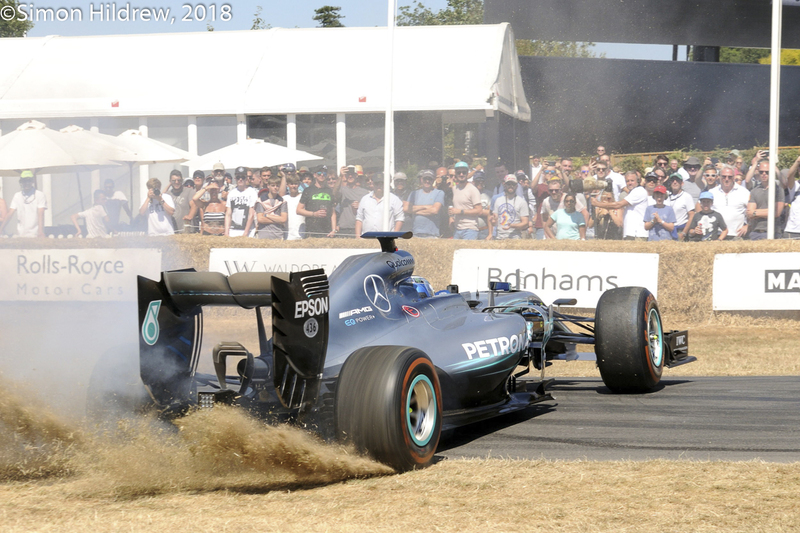 However, the true cause of this unMercedes-like failure was a little more complicated. 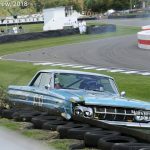 A pin in the power-steering pump failed and dumped hydraulic fluid into the engine and that was that. 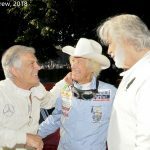 It would be the only time that a CLK LM raced and did not win. 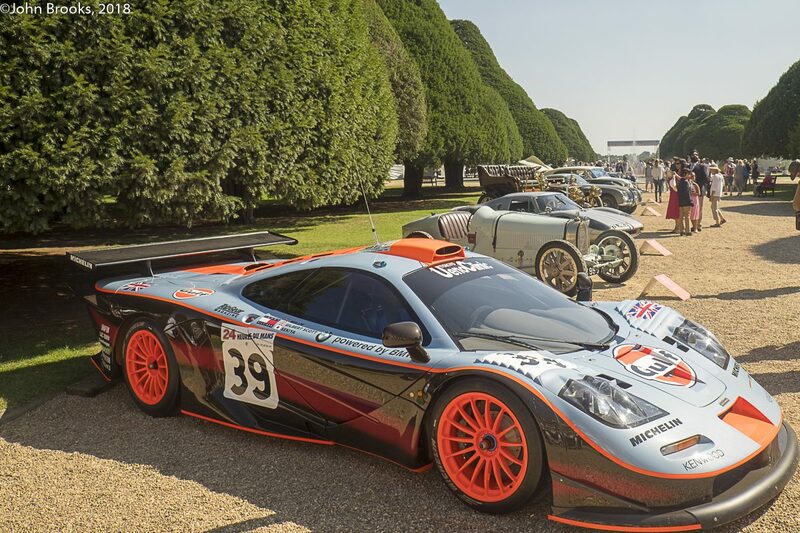 Another car that suffered at the French classic was #25R, a long tailed McLaren F1 GTR. 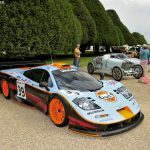 Ray Bellm and Thomas Bscher joined forces in 1997 to establish a three car challenge, Gulf Team Davidoff, in the first season of the FIA GT Championship. 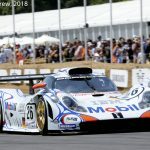 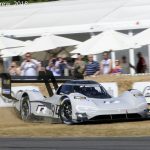 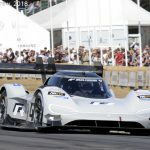 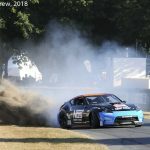 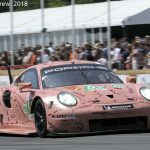 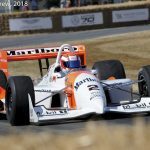 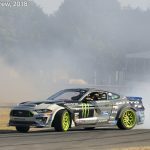 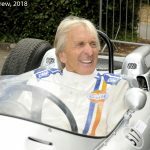 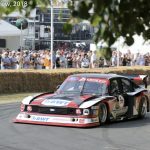 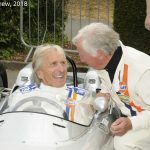 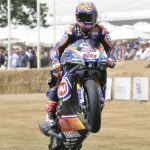 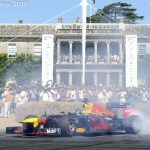 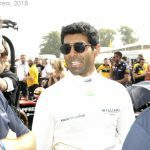 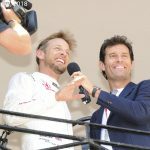 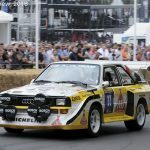 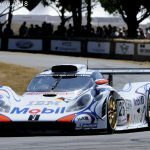 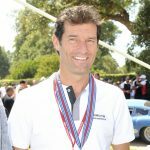 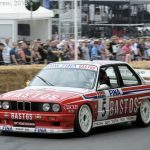 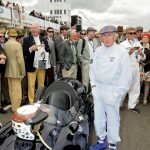 At Le Mans, Thomas saw his hopes of racing go up in smoke on the Thursday evening when his F1 GTR caught fire and was considered too badly damaged to continue. 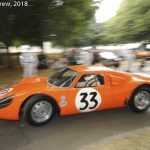 Three days later saw a repeat of this unfortunate incident when, with about an hour to go in the race and running in the top five, Andrew Gilbert-Scott had to hastily bail out of this McLaren as it went up in flames. 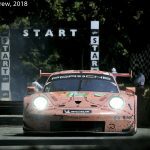 To get so far and then fail at the final hurdle is a perfect demonstration of the fundamental cruelty of Les Vingt-Quatre Heures du Mans. 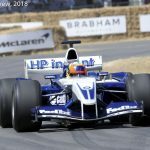 #25R then went to Japan, racing right up to 2005. 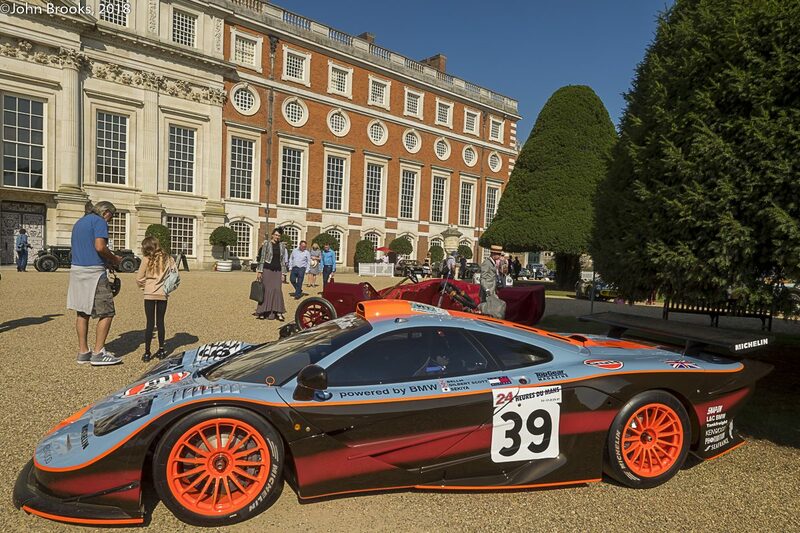 It has now come home and has been restored by McLaren Special Operations. 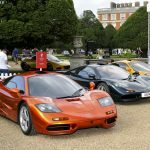 McLaren is one of only three manufacturers to win at Le Mans on their début, the others being Chenard & Walker and Ferrari. 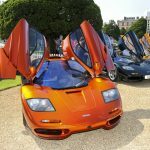 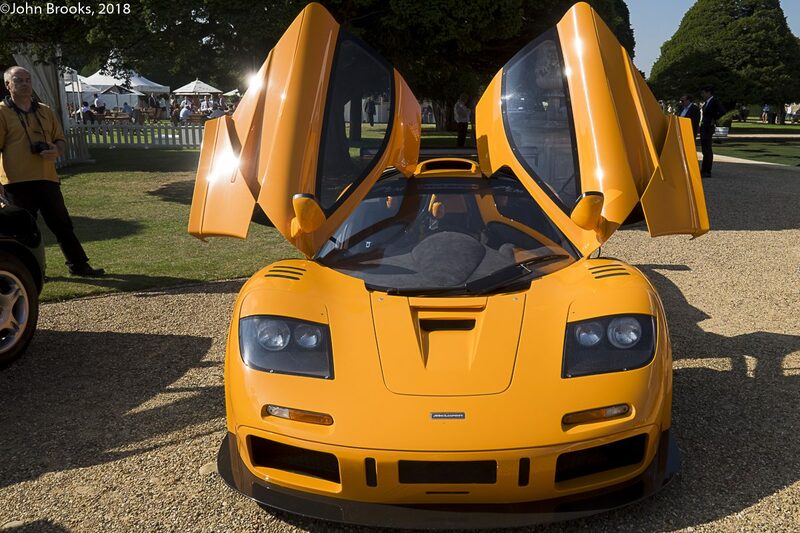 To celebrate this famous victory in 1995 a special edition was produced from Woking, the McLaren F1 LM. 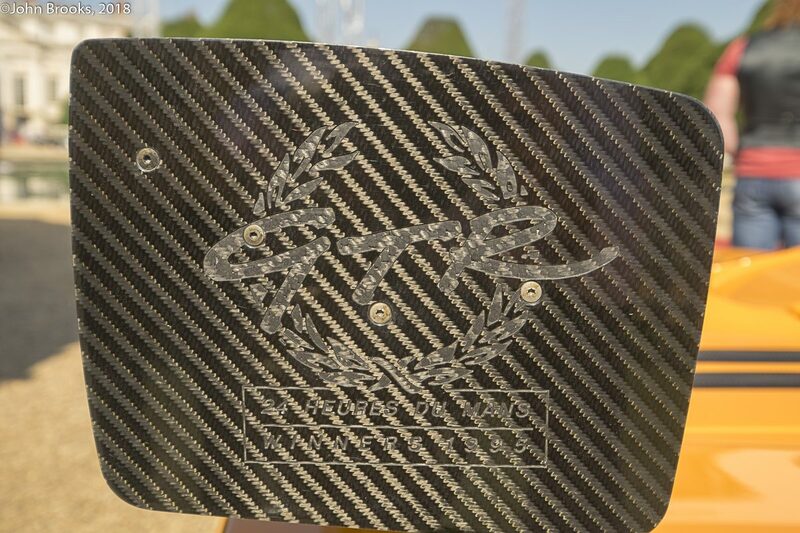 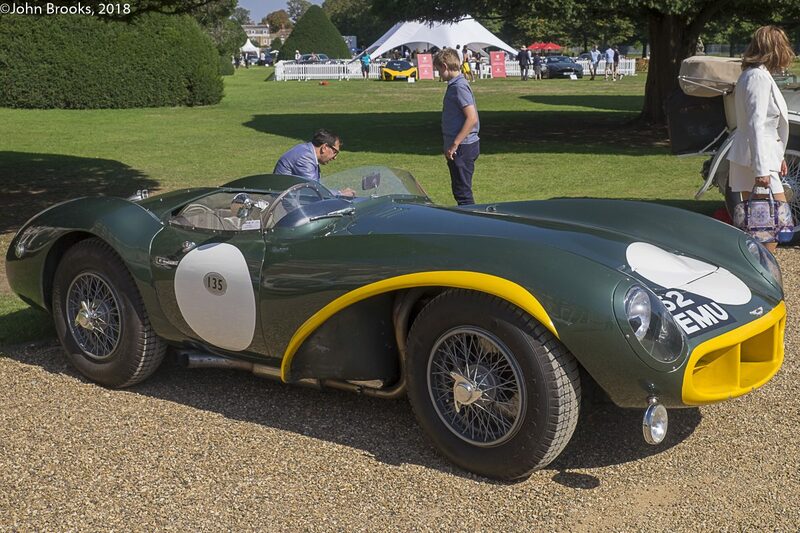 The prototype was on hand at the Concours. 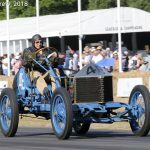 It had a number of subtle changes from the road car. 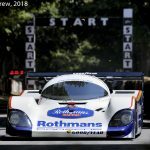 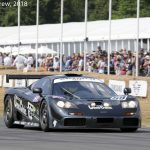 It was not a replica of the race car but “follows the specification of the Le Mans winning F1 GTR.” Only five of these amazing creations were built so seeing this car was very special. 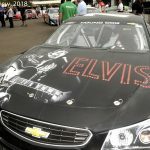 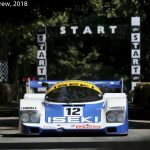 The ACO should give thanks every day that the coolest guy on the planet took the coolest car of the time and created a movie immortalising their race. 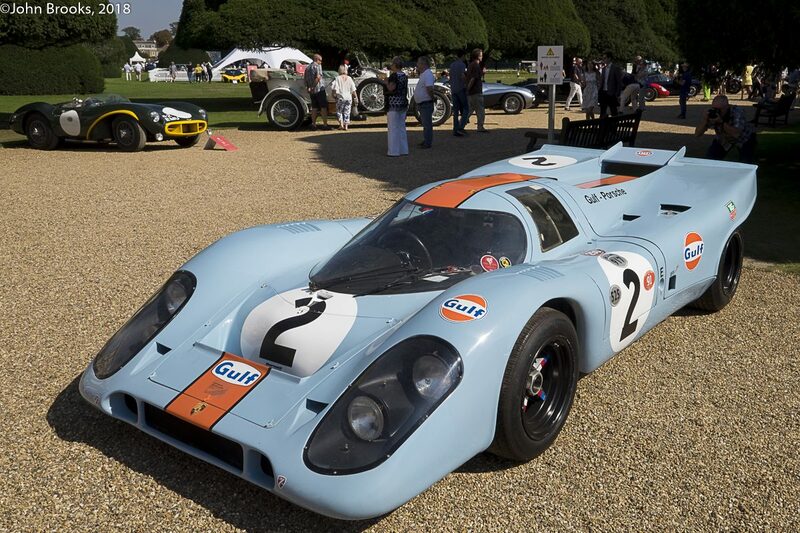 Steve McQueen aka Michael Delaney made the Porsche 917 in the iconic Gulf Oil livery into a motoring mega-star. 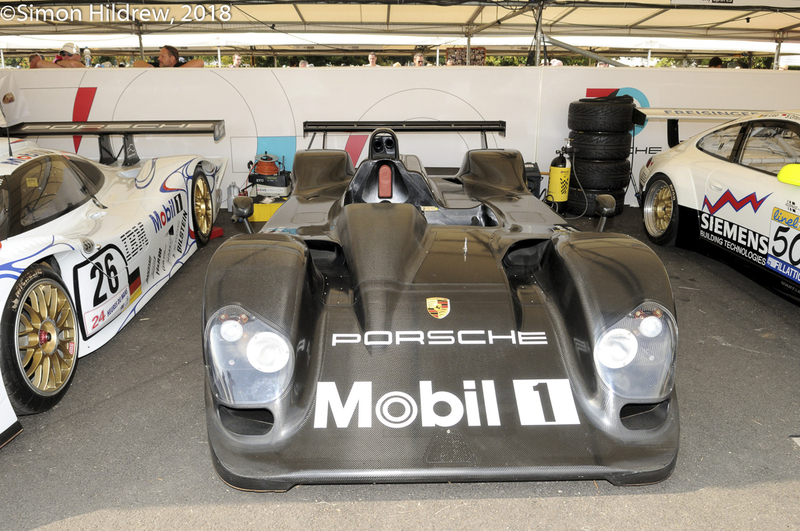 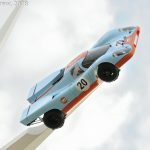 This example, 917-013, never actually raced at Le Mans but was wrecked there during the making of the film, Le Mans, when David Piper had a tyre issue at speed. 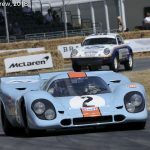 The accident was so violent that the 917 was almost cut in two and Piper lost his lower right leg as a consequence. 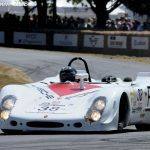 The Porsche was reborn using chassis 917-034 and went on to score victories at Daytona, Monza, Zeltweg and Montlhéry. 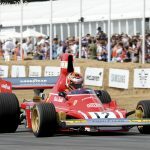 Austria’s race witnessed the final victory for the legendary Pedro Rodriguez who turned in one of his greatest performances to beat Ferrari. 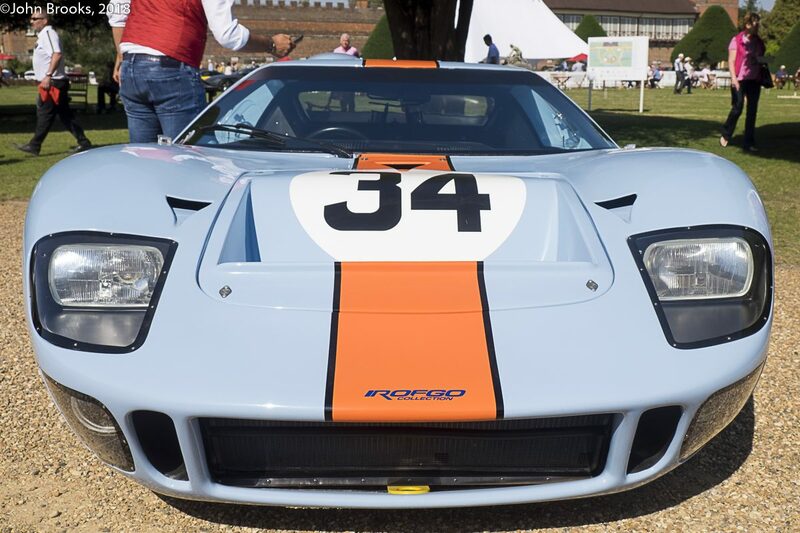 Rodriguez and Gulf Oil are linked to this Ford GT40. 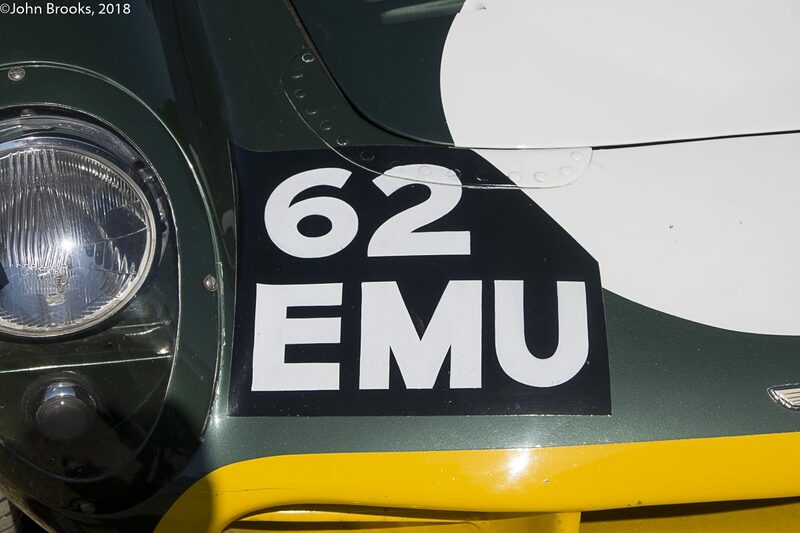 Originally chassis P/1004 and entered for the 1965 Le Mans 24 Hours under the banner of Rob Walker. 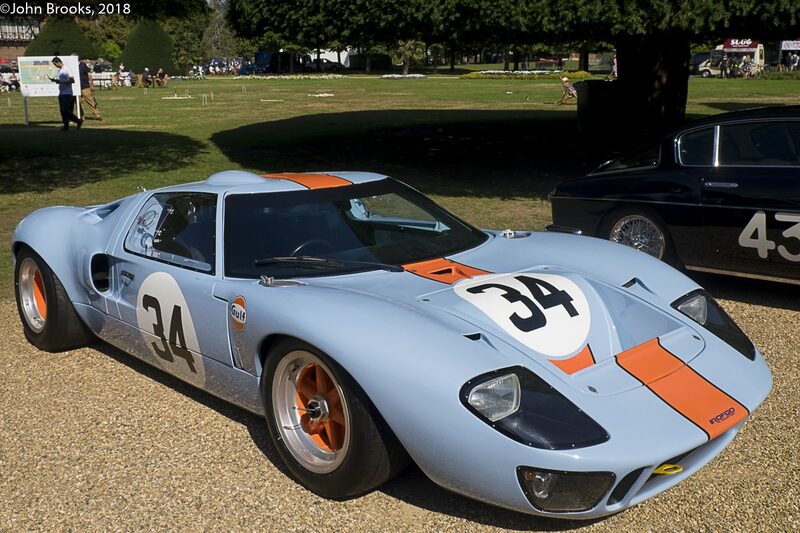 Like the other Dearborn cars the GT40 retired, this one a victim of a cylinder head gasket failure. 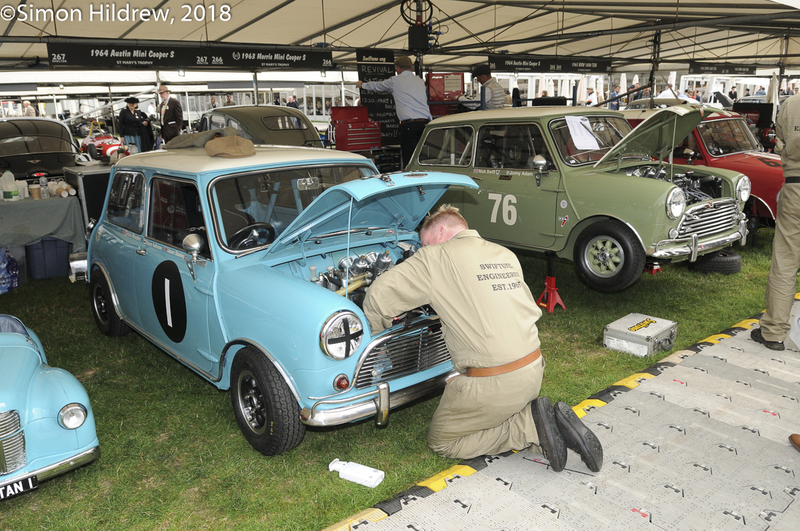 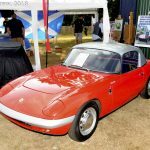 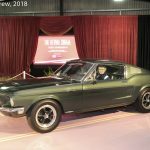 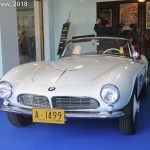 Fast forward to 1968 and P/1004 was retrieved from storage and updated by JW Automotive to the latest spec and renumbered to P/1084. 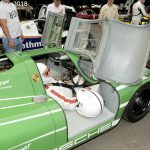 It was raced to fourth place at Spa by Paul Hawkins and David Hobbs and then was retired from the tracks. 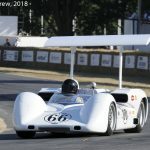 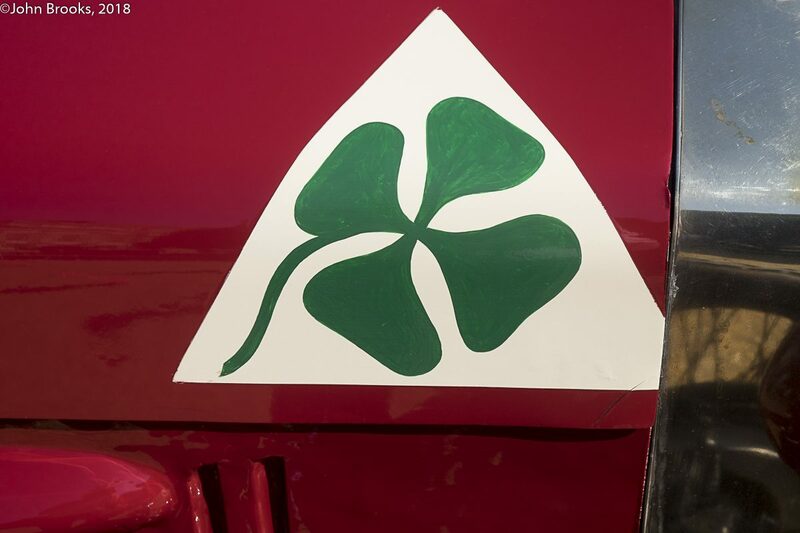 A few months later a sister car took the top spot at Le Mans in the postponed 1968 event, Pedro Rodriguez and Lucien Bianchi were the drivers. 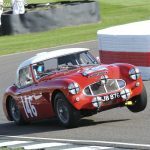 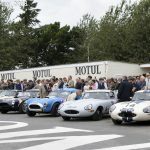 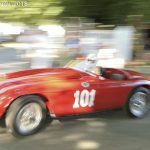 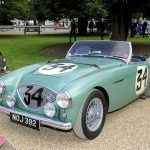 The final Le Mans competitor to be found in the Place grounds was the Austin Healey 100 ‘Special’. 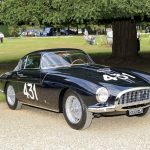 It raced at La Sarthe in 1953, finishing a very creditable 12th place overall in the hands of Maurice Gatsonides and Johnny Lockett. 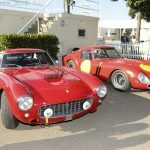 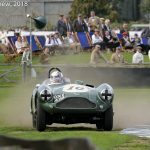 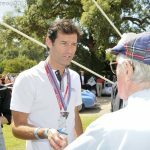 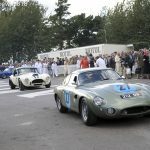 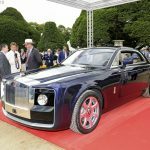 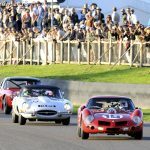 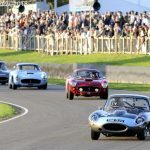 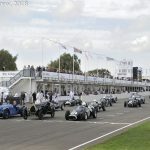 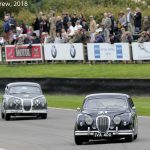 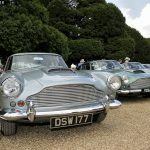 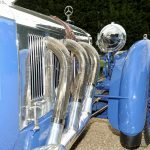 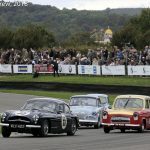 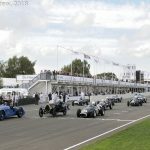 Since it was first held in 2012 the Concours of Elegance has taken its place at the top table of motoring celebrations. 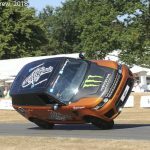 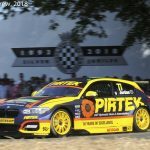 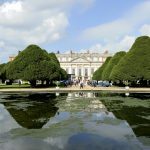 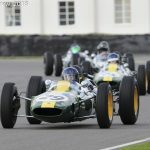 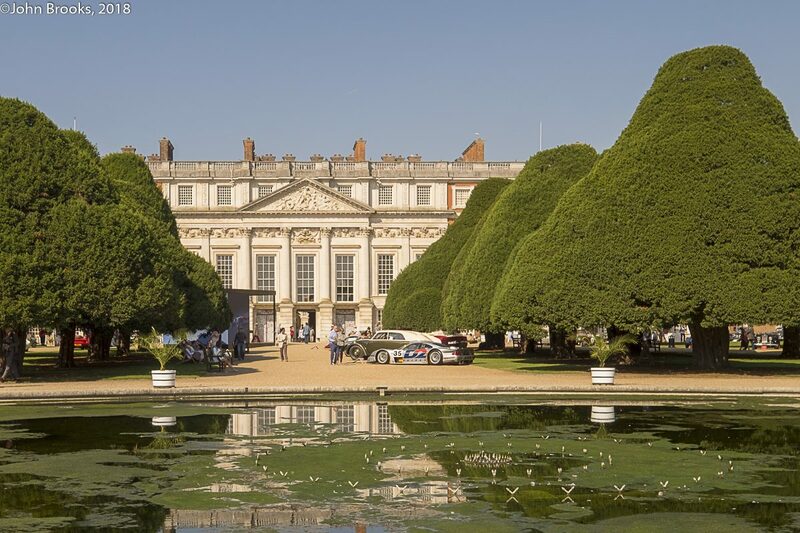 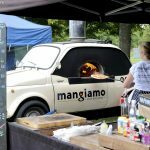 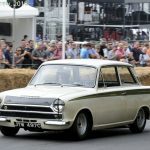 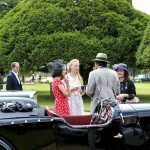 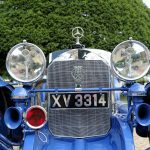 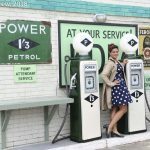 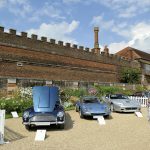 Now located at Hampton Court Palace it is a ‘must attend’ event, if you like cars then this is for you. 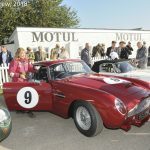 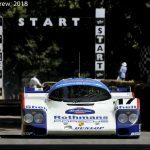 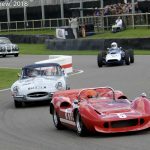 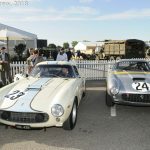 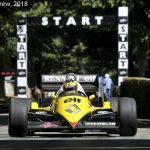 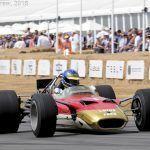 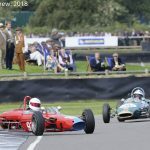 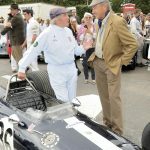 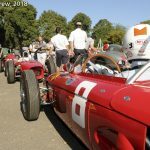 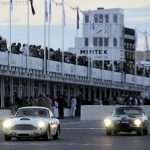 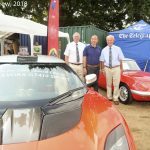 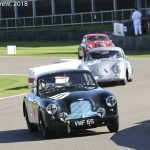 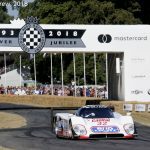 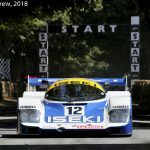 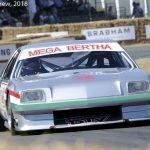 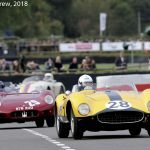 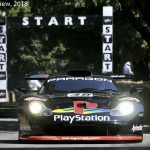 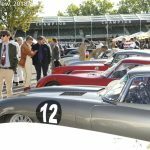 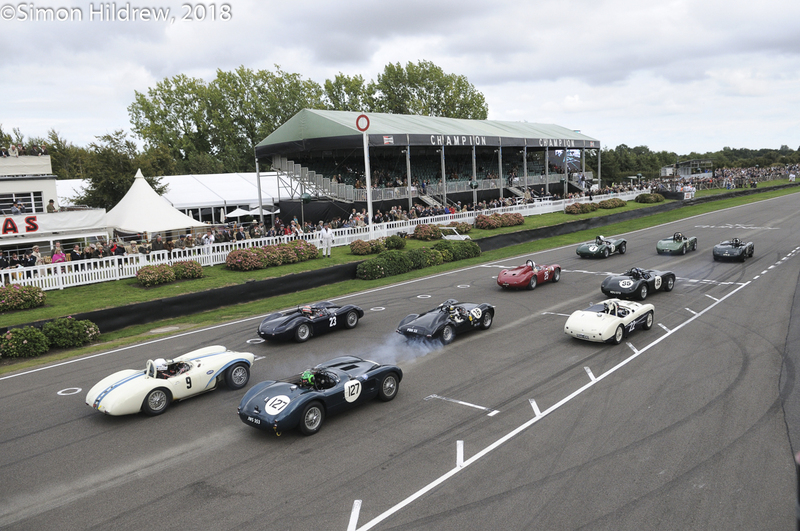 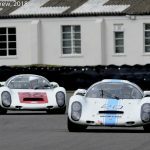 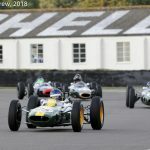 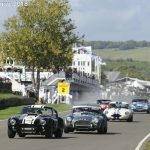 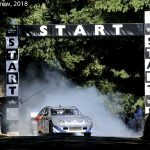 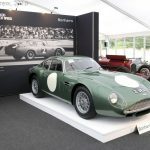 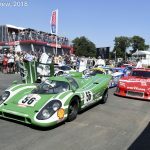 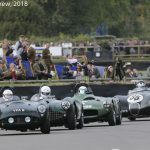 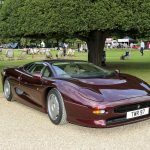 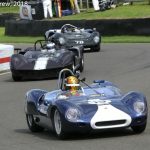 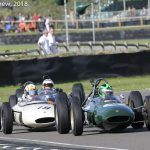 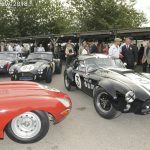 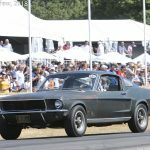 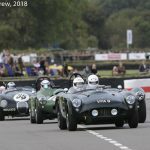 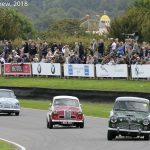 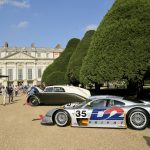 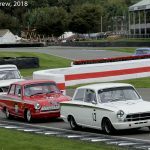 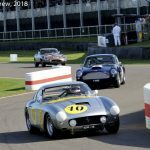 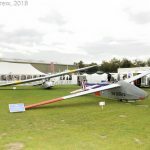 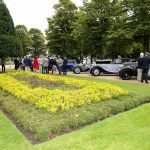 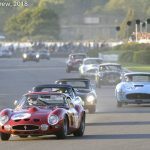 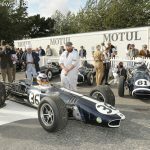 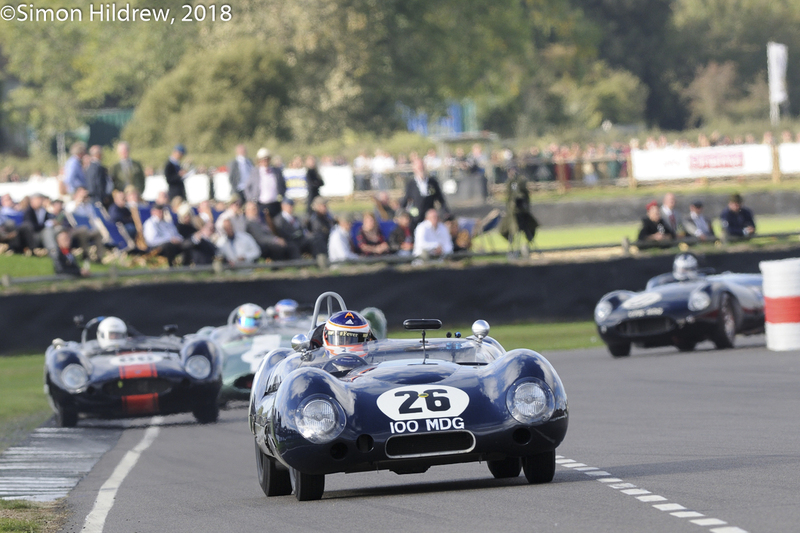 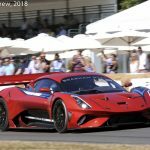 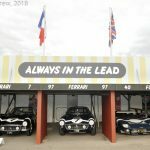 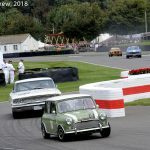 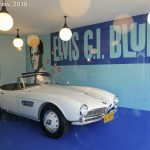 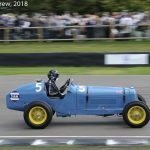 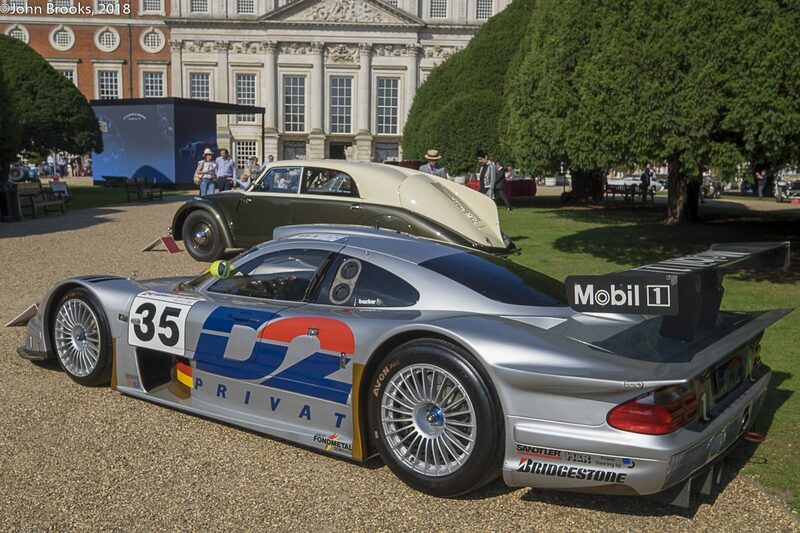 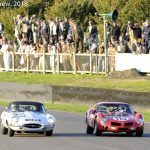 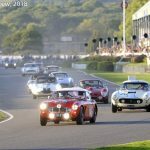 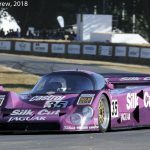 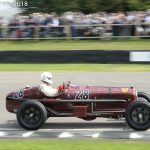 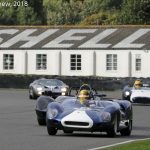 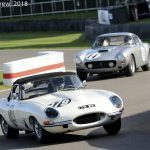 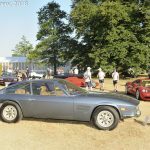 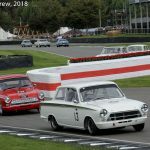 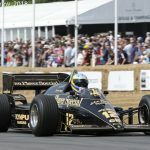 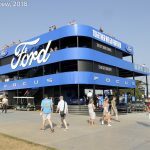 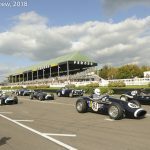 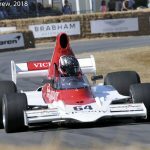 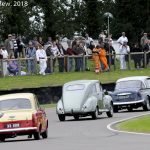 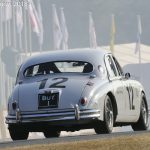 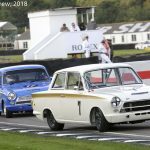 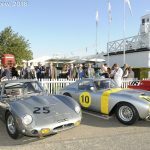 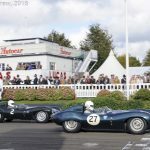 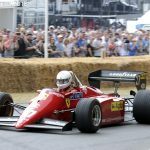 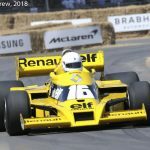 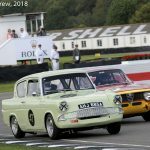 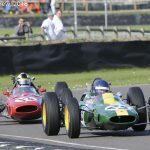 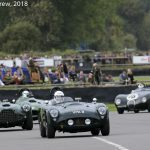 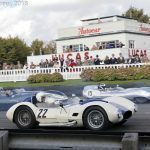 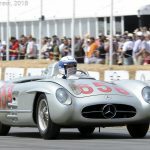 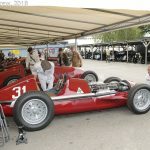 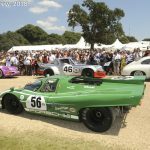 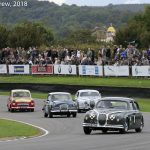 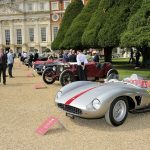 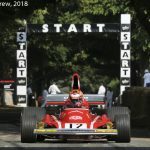 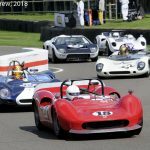 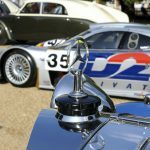 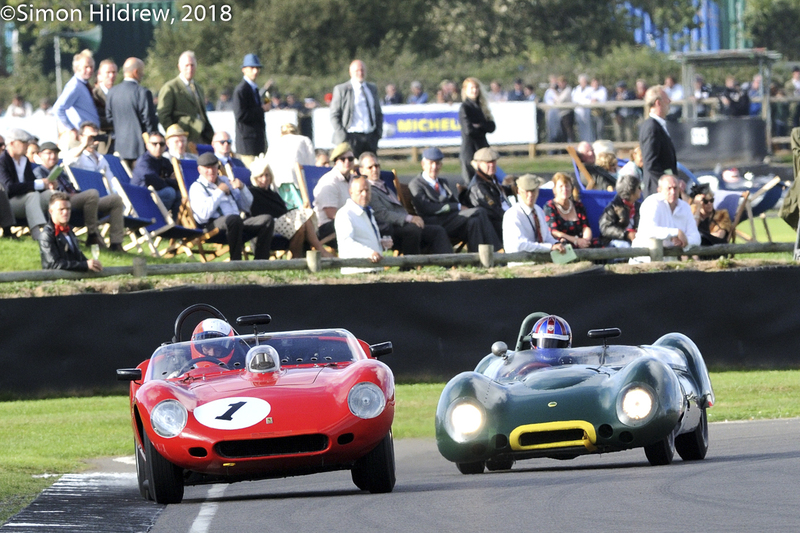 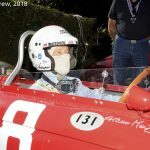 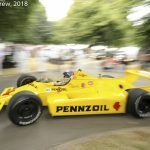 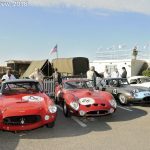 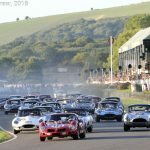 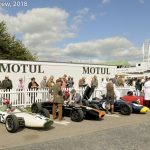 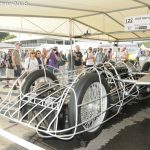 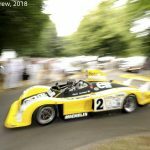 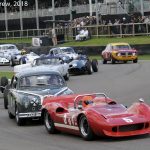 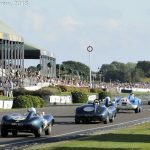 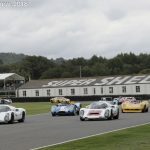 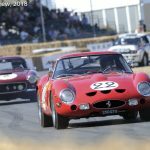 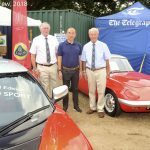 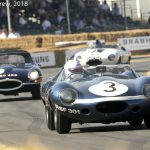 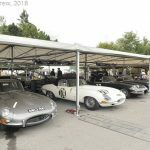 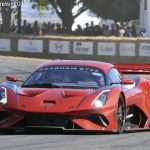 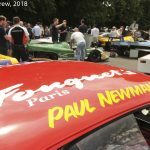 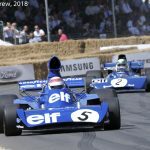 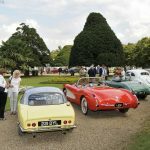 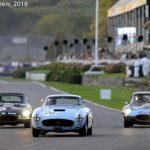 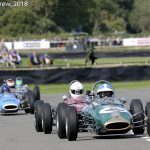 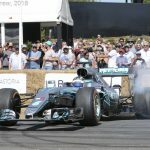 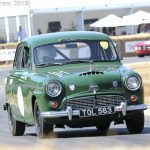 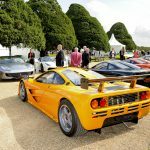 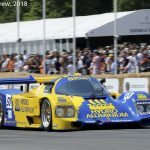 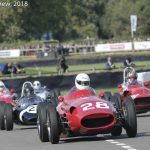 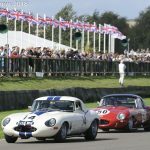 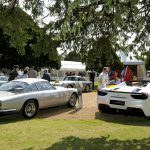 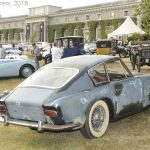 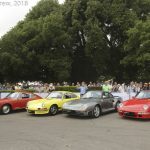 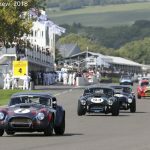 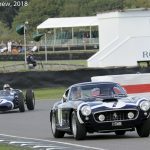 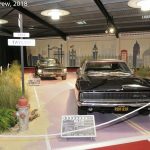 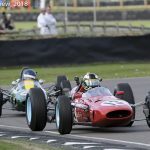 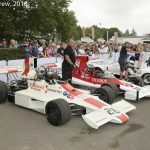 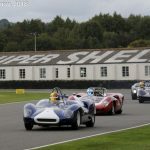 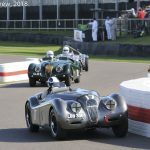 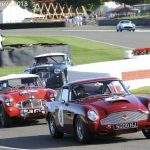 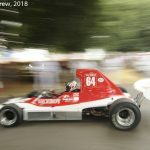 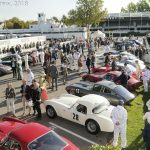 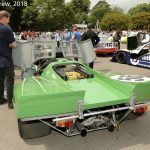 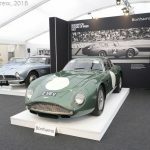 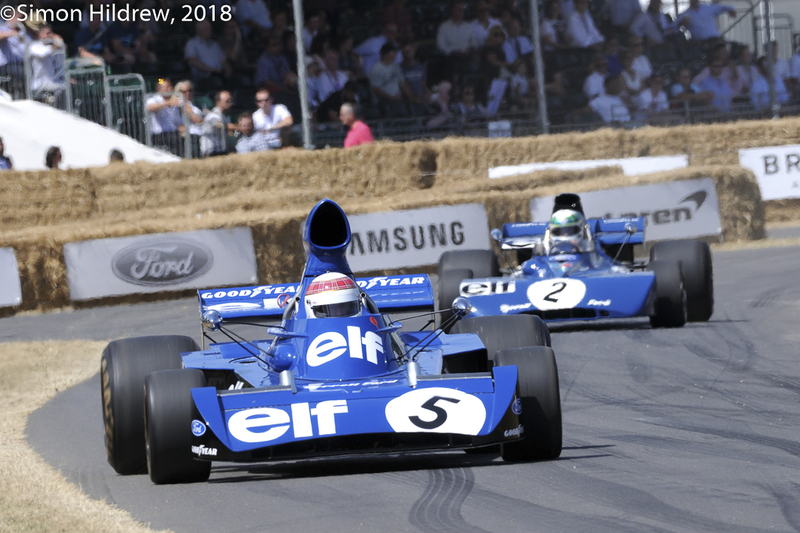 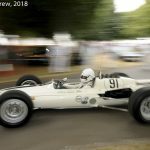 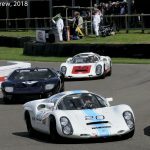 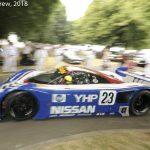 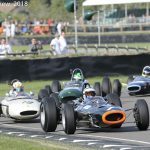 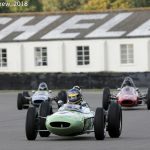 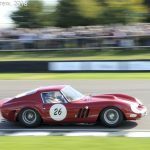 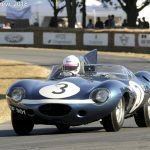 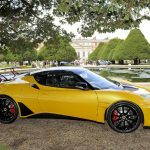 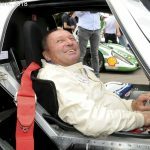 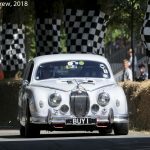 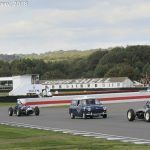 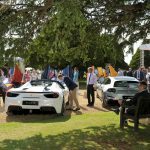 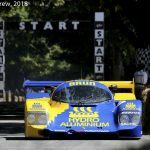 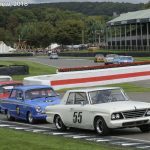 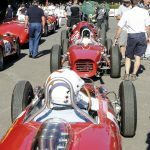 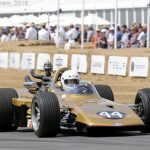 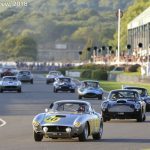 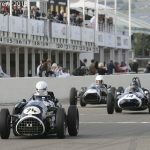 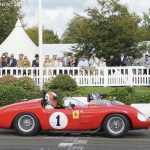 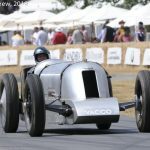 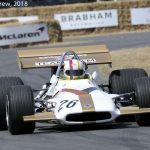 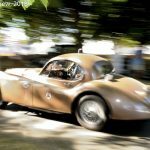 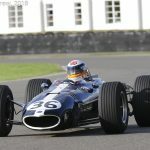 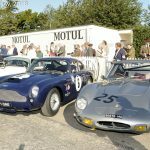 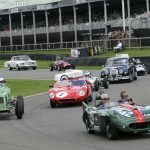 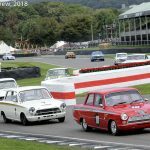 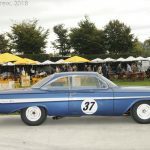 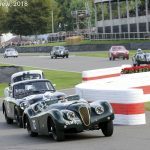 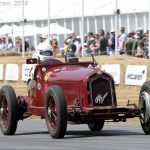 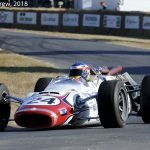 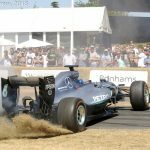 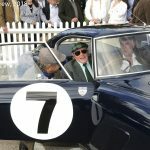 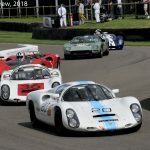 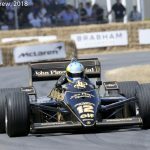 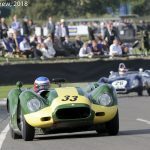 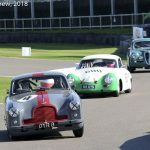 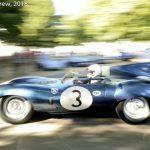 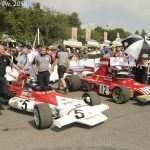 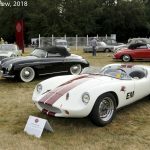 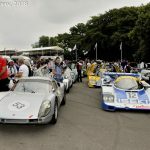 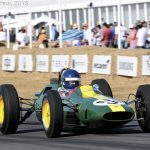 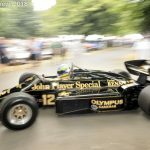 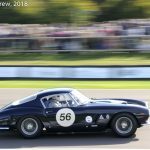 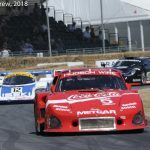 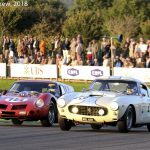 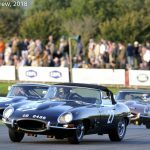 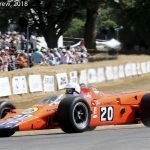 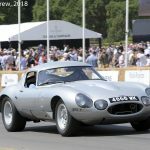 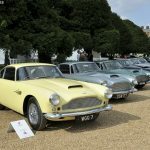 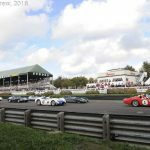 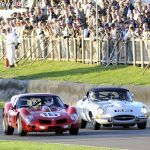 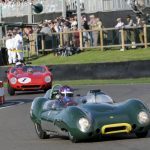 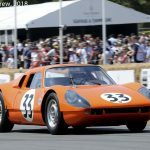 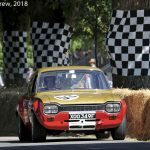 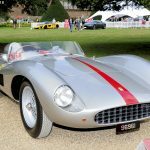 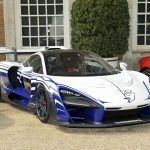 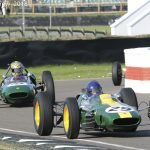 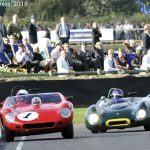 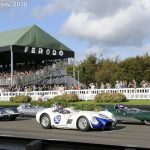 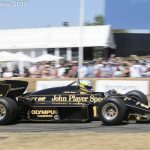 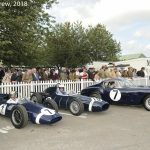 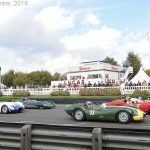 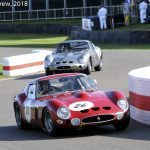 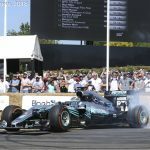 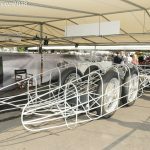 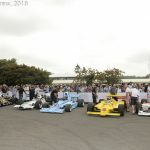 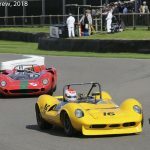 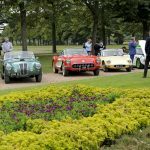 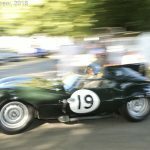 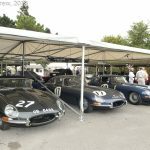 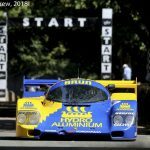 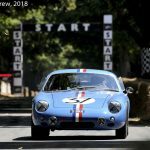 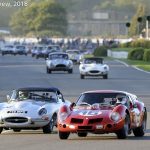 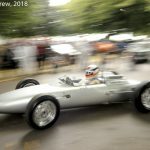 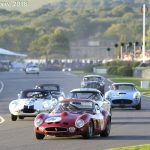 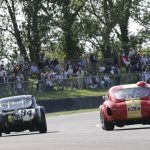 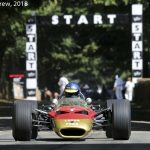 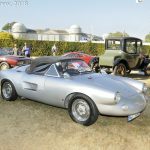 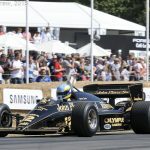 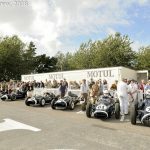 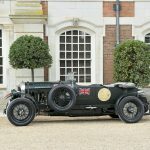 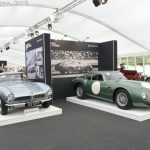 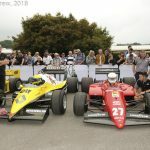 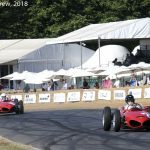 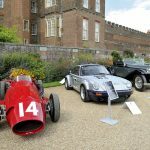 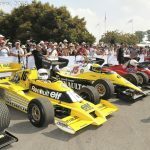 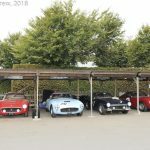 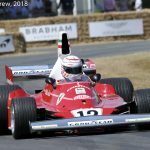 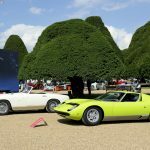 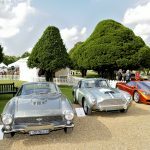 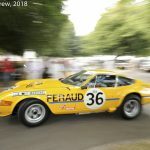 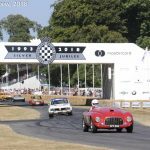 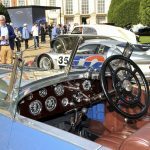 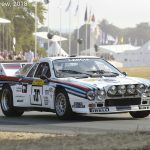 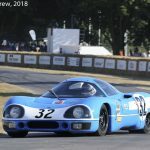 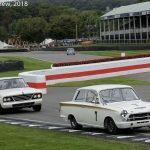 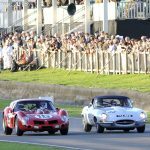 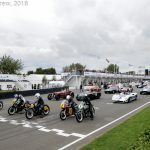 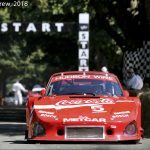 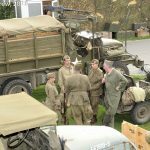 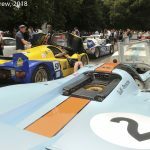 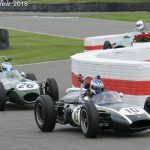 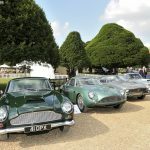 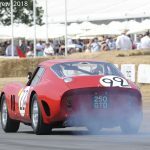 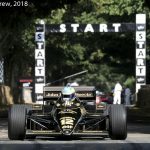 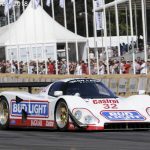 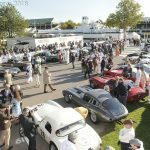 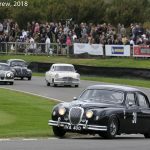 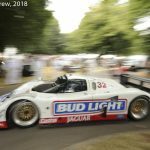 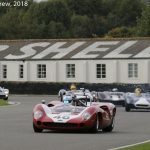 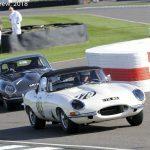 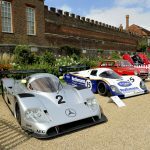 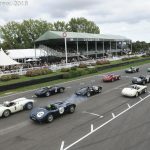 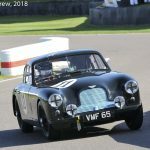 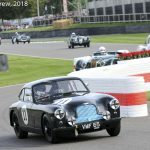 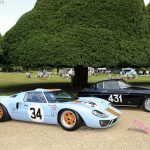 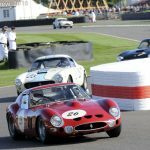 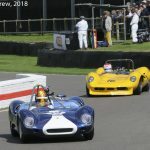 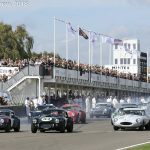 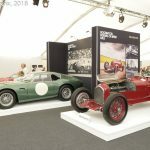 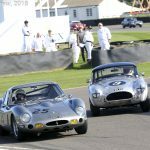 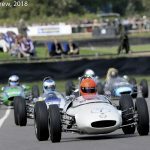 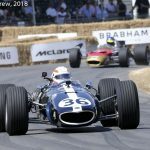 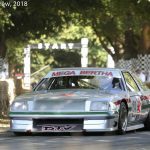 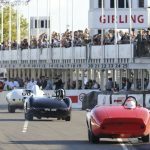 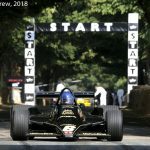 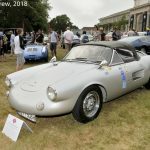 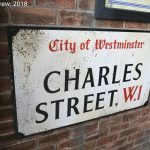 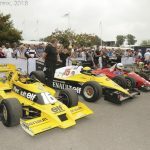 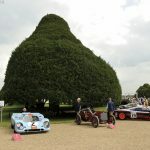 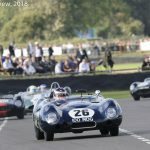 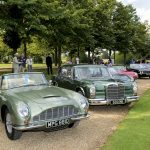 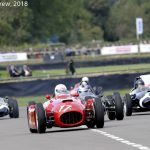 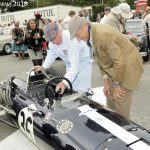 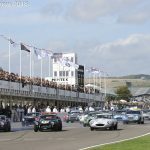 This entry was posted in Notes from the Cellar and tagged AMG Mercedes CLK LM, Aston Martin DB3S, Austin Healey 100 'Special', Concours of Elegance, Ford GT40, Hampton Court Palace, McLaren F1 GTR, McLaren F1 LM, Porsche 917, Porsche 962C, Sauber C11 on September 3, 2018 by John Brooks.